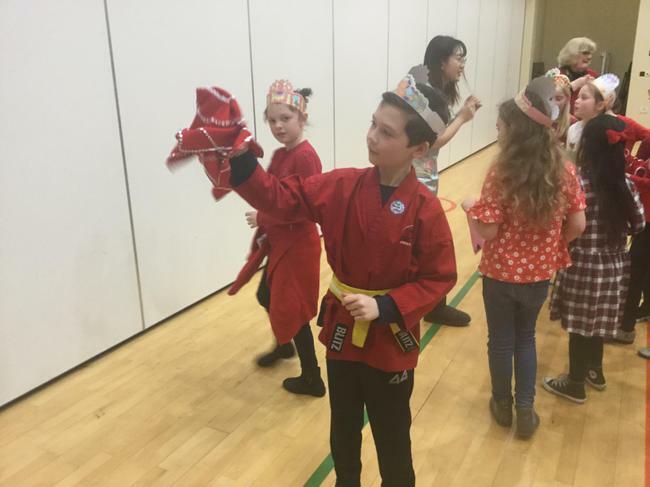 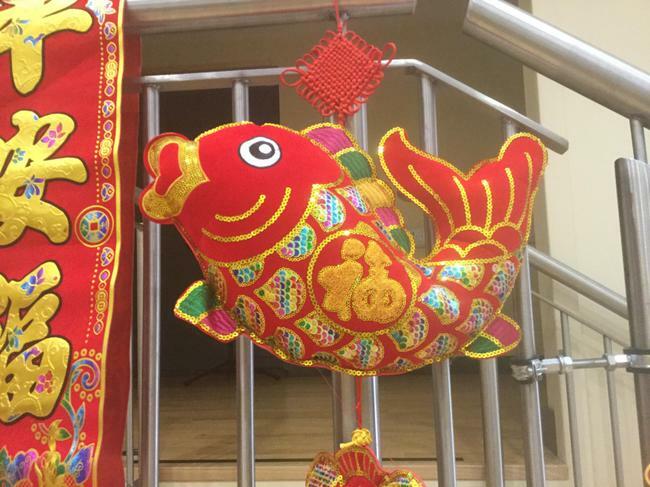 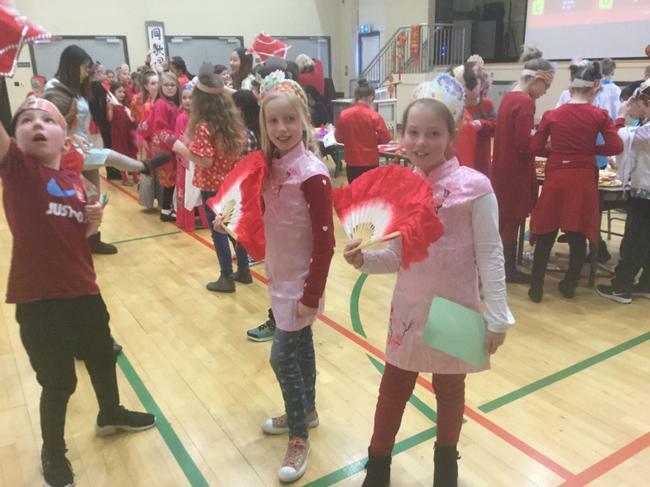 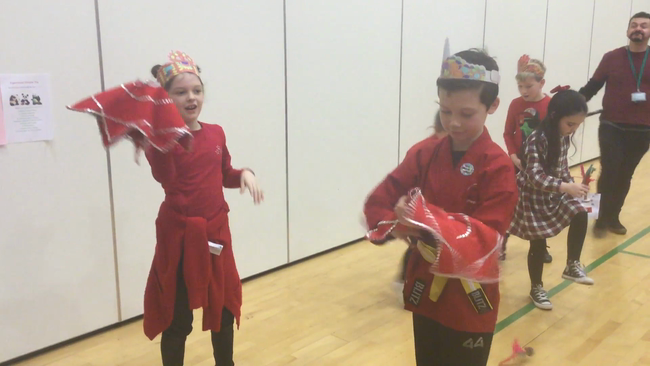 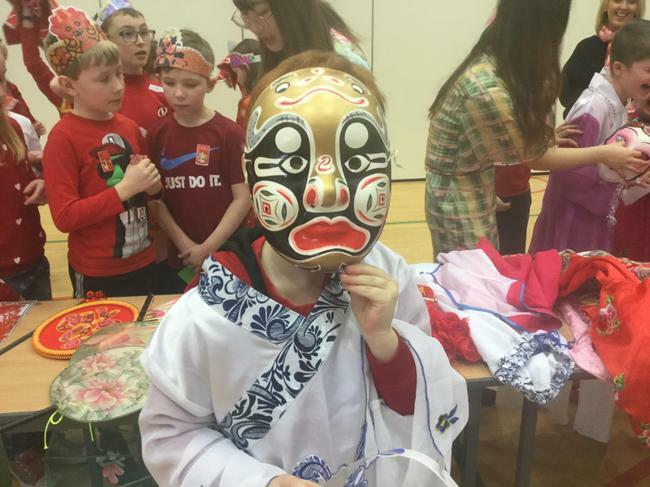 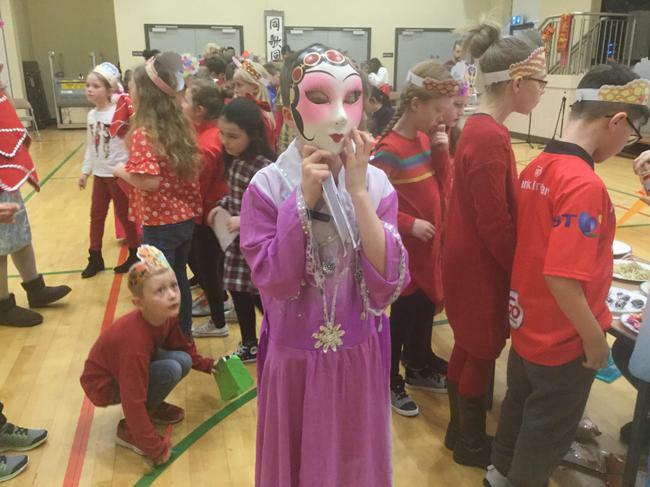 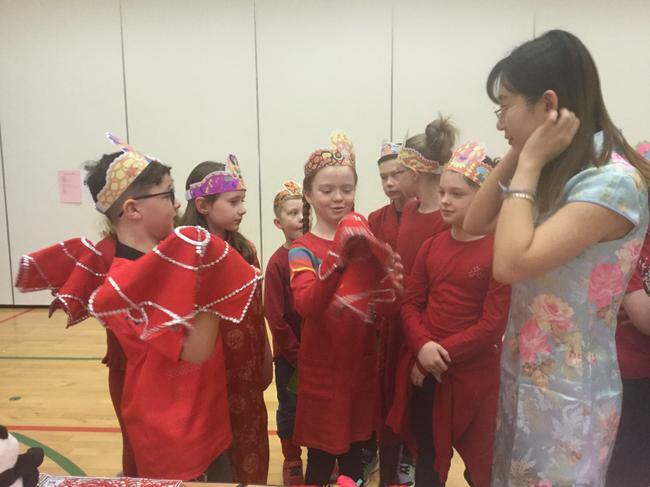 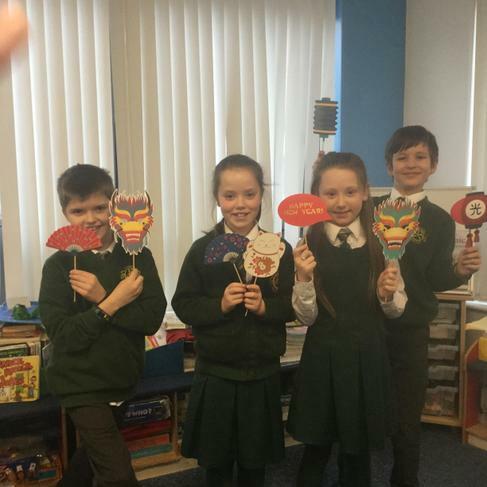 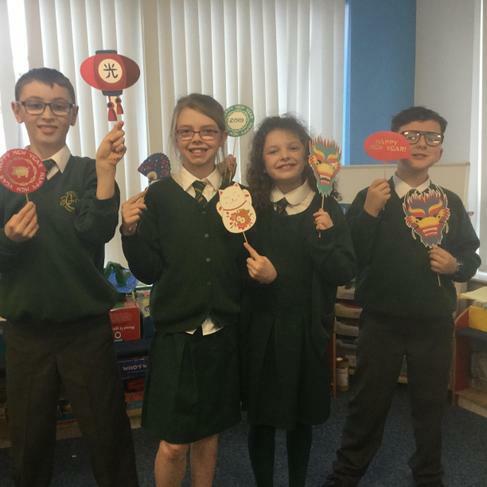 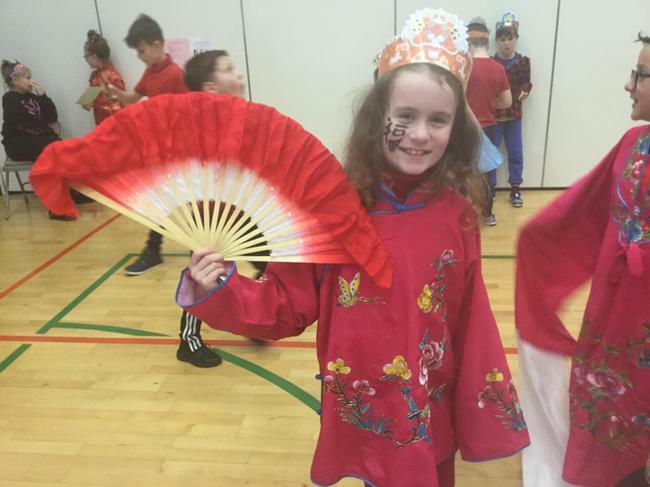 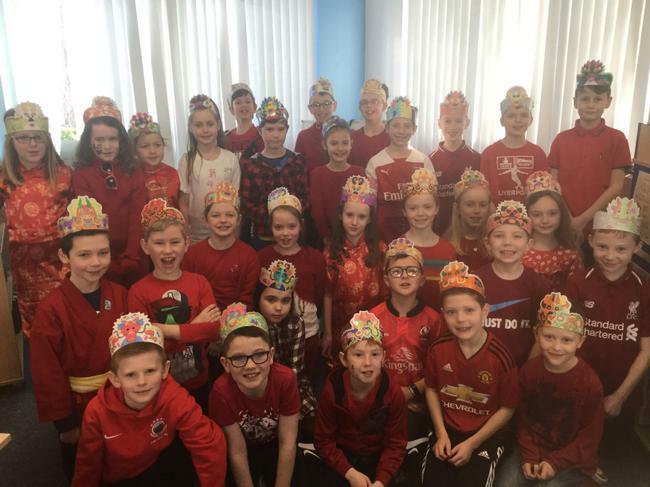 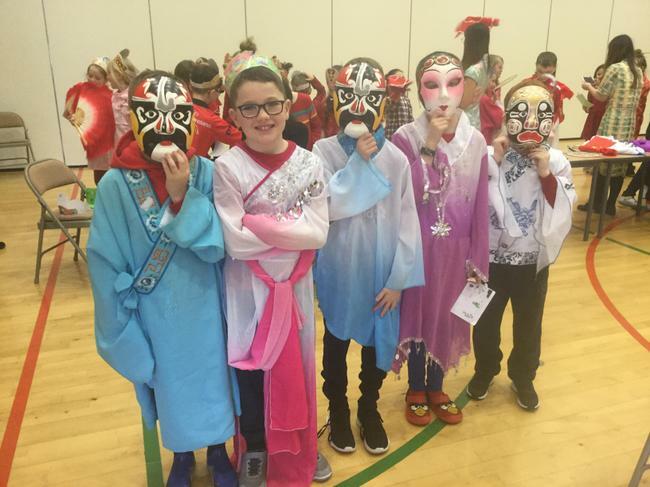 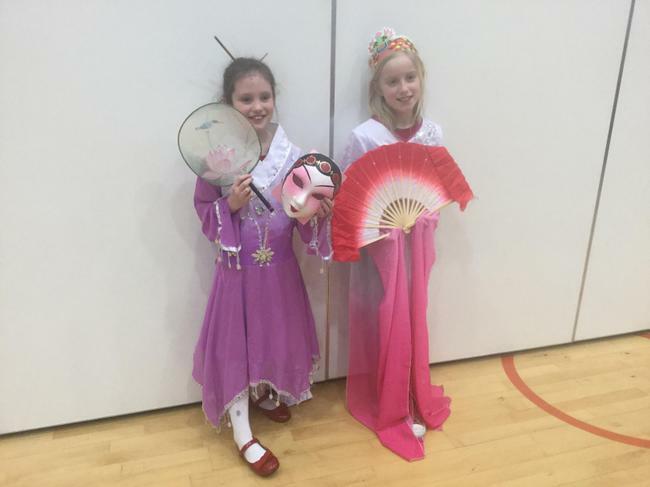 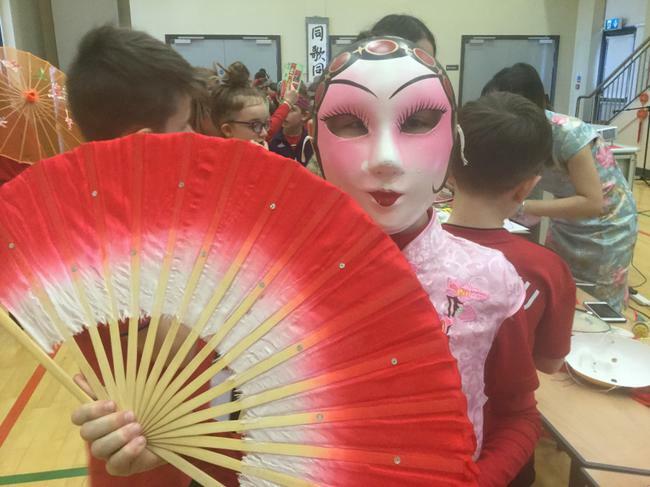 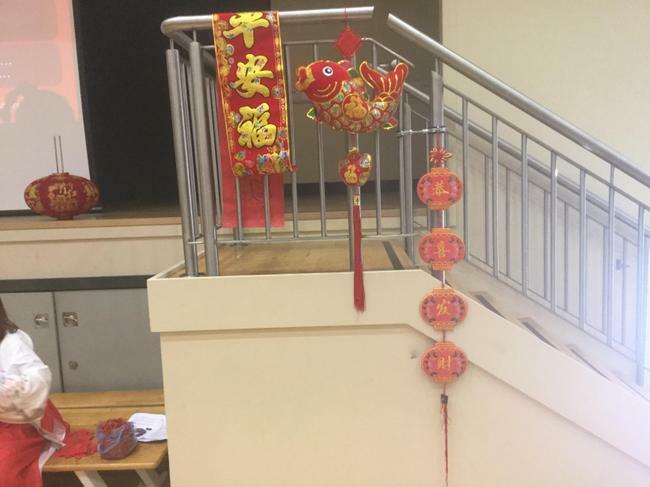 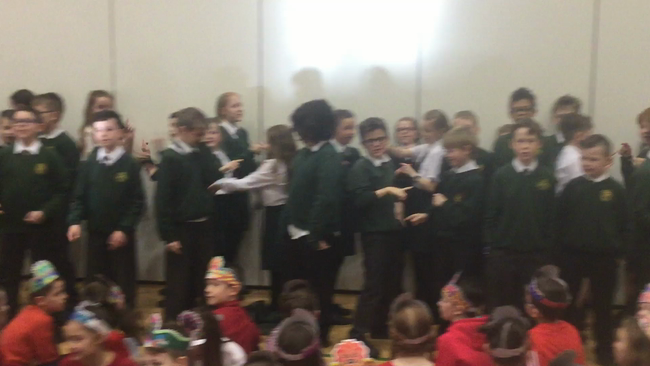 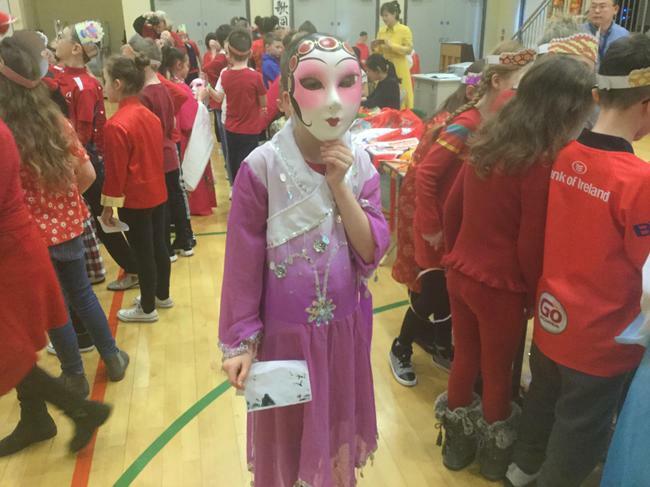 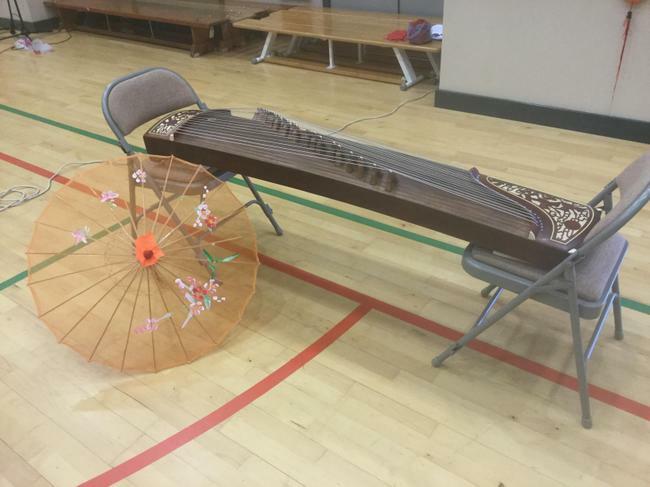 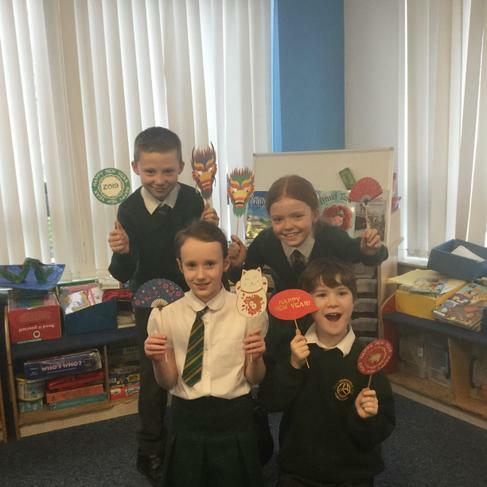 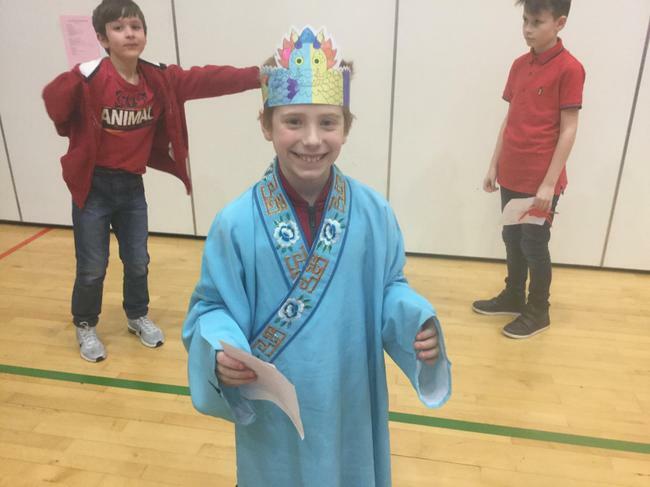 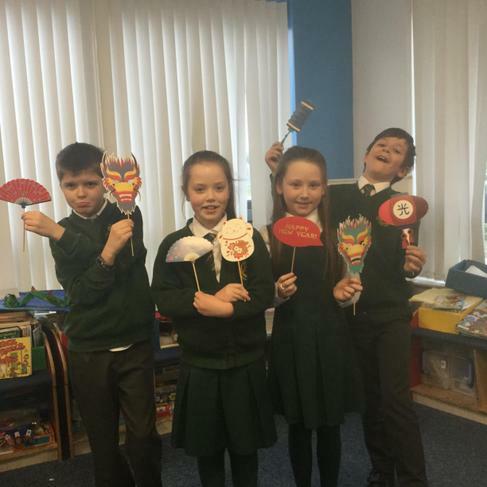 The P6 classes sang for us during our Chinese New Year show. 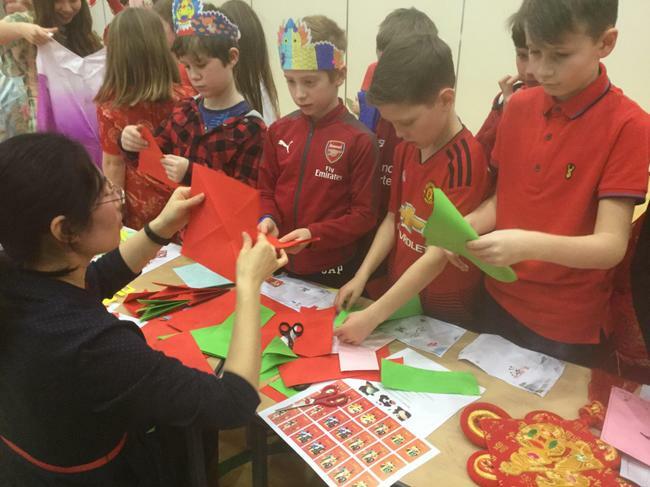 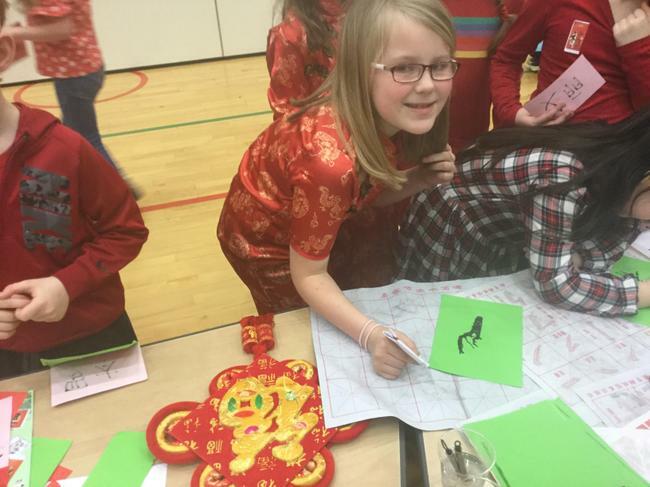 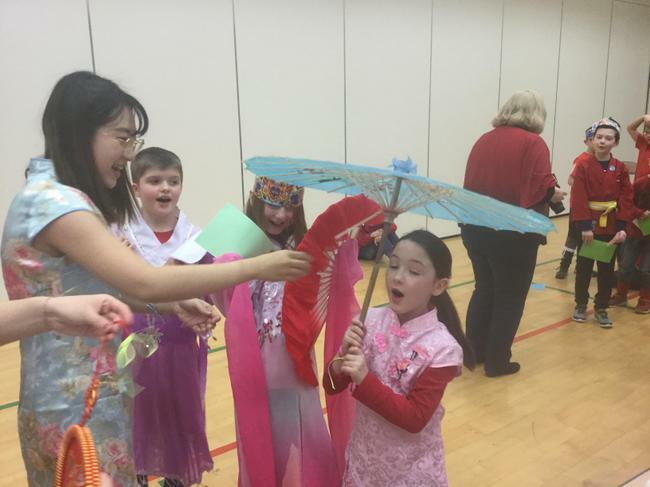 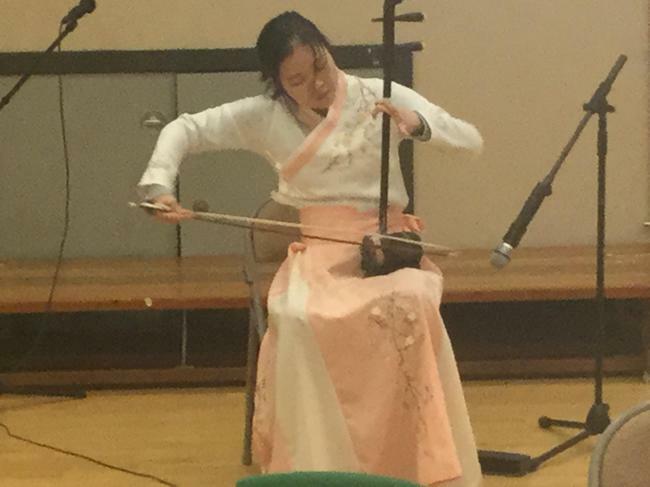 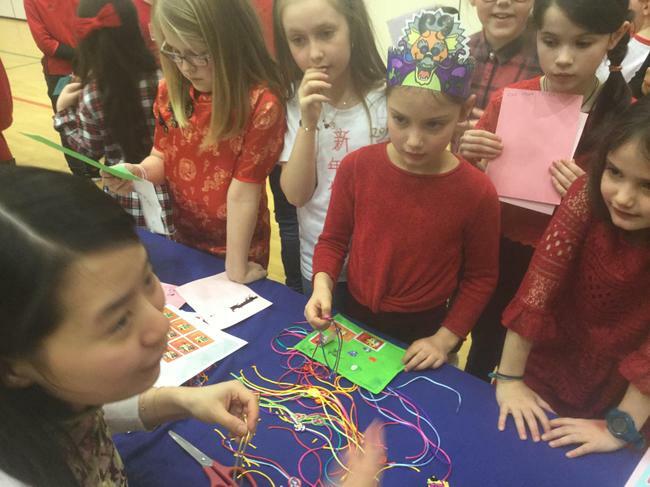 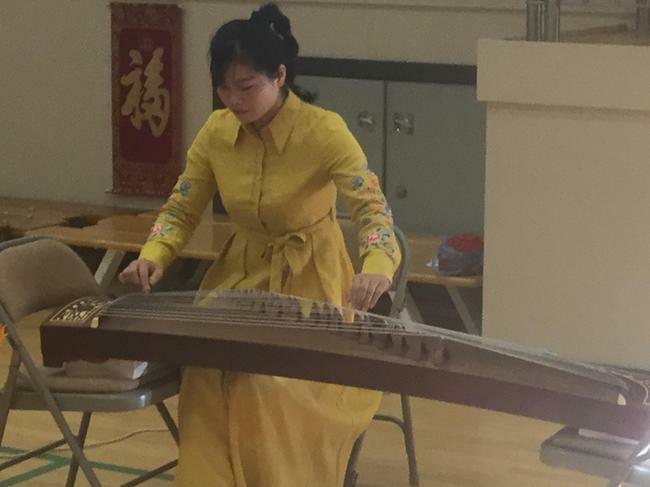 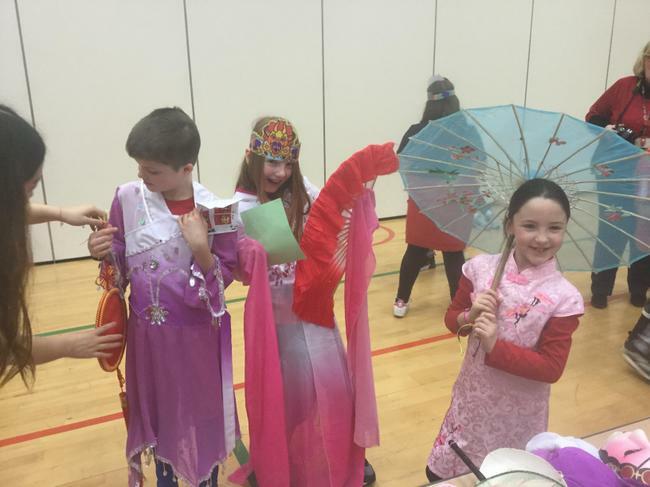 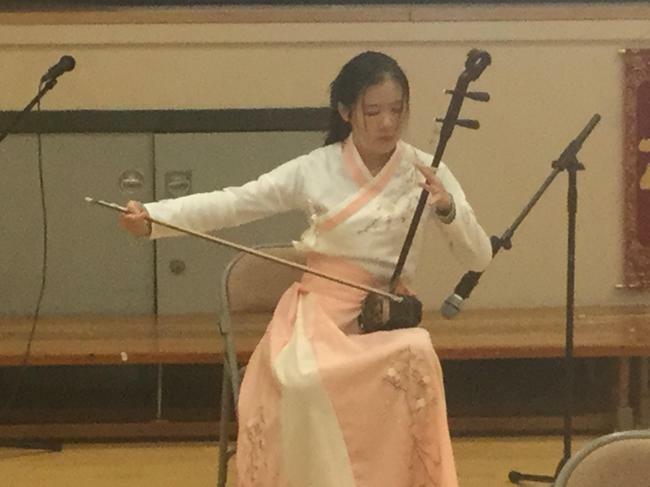 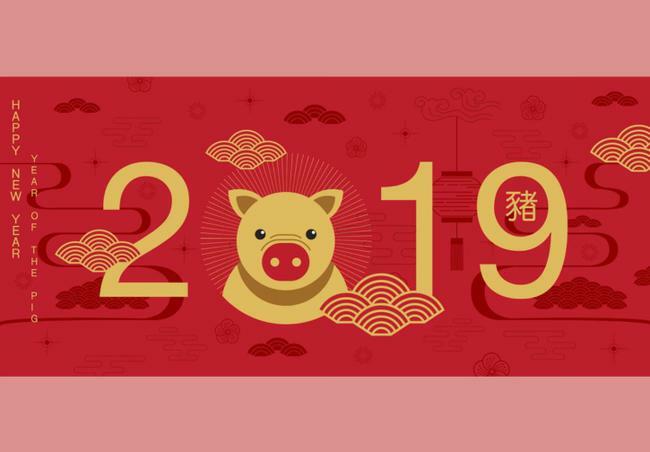 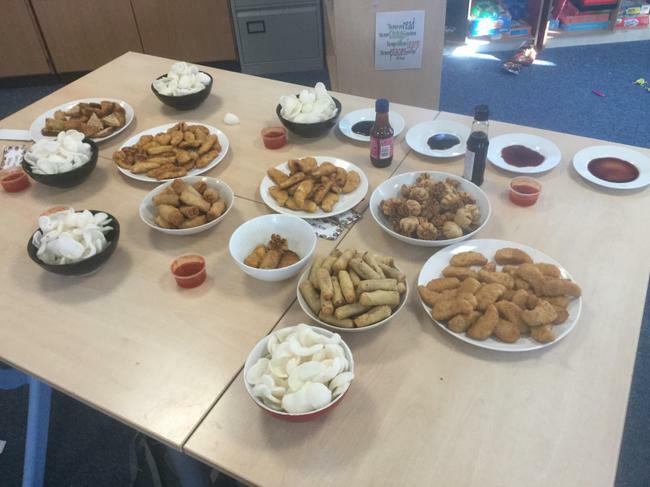 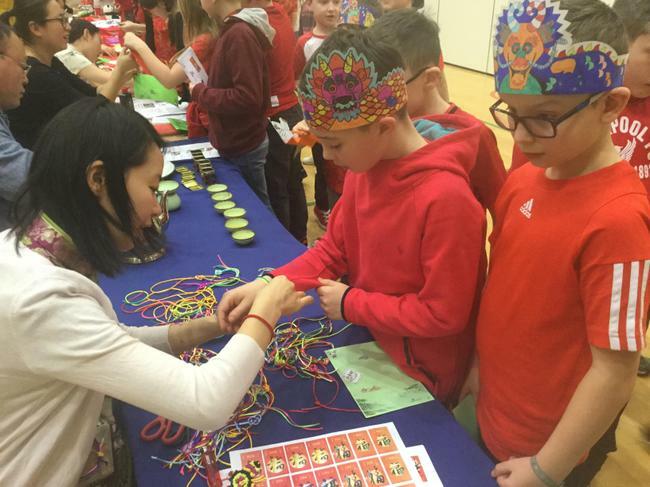 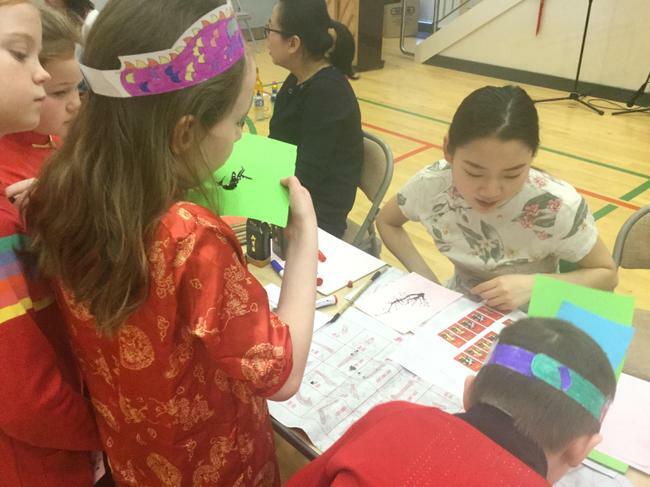 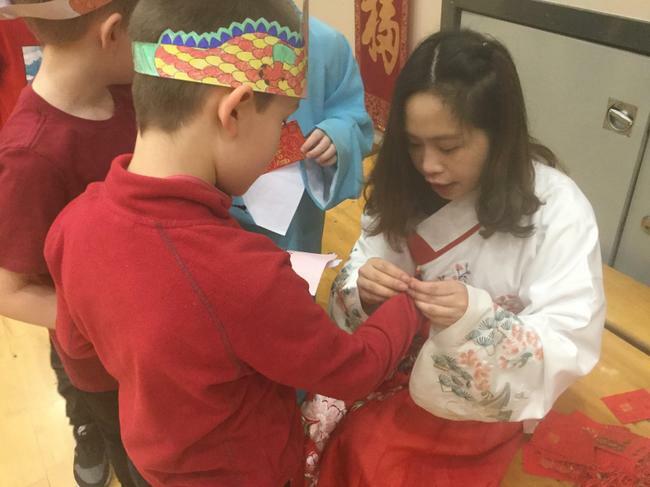 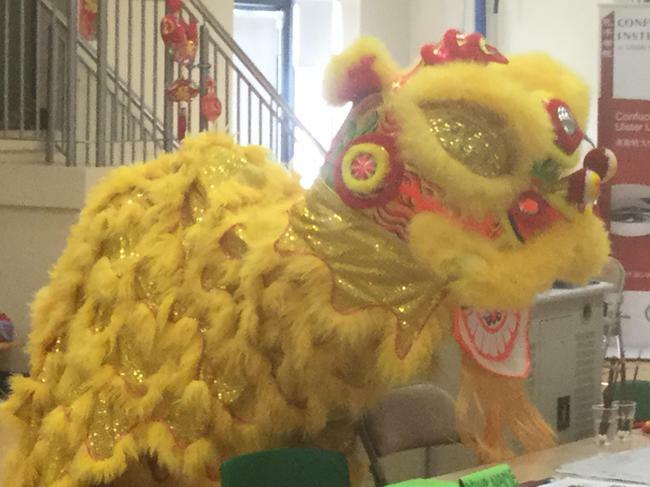 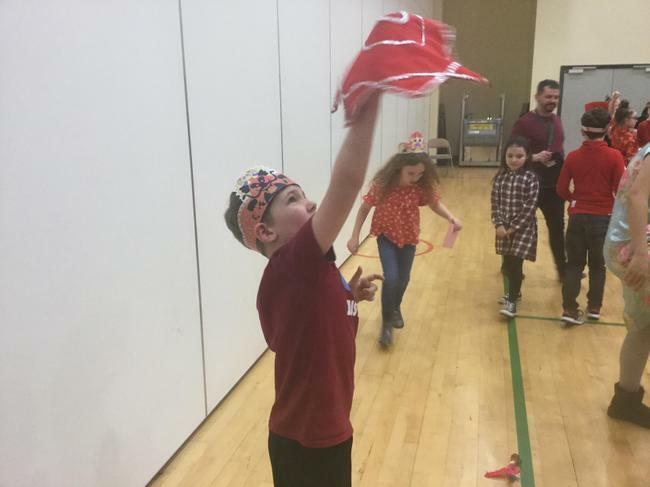 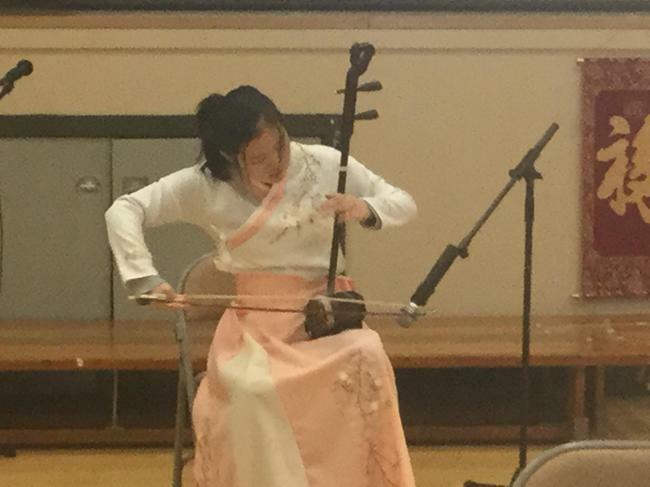 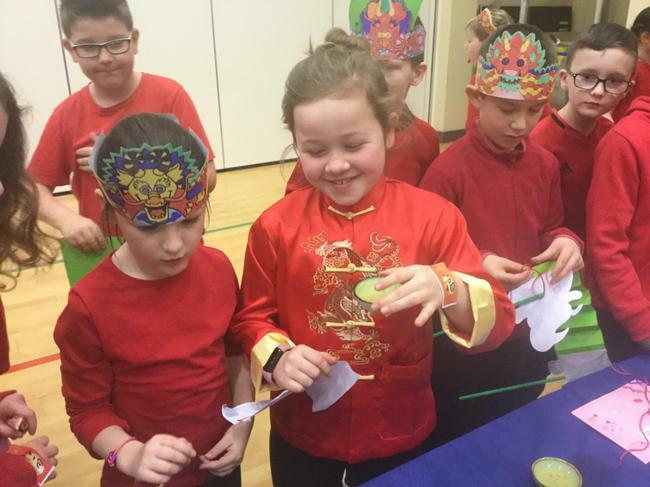 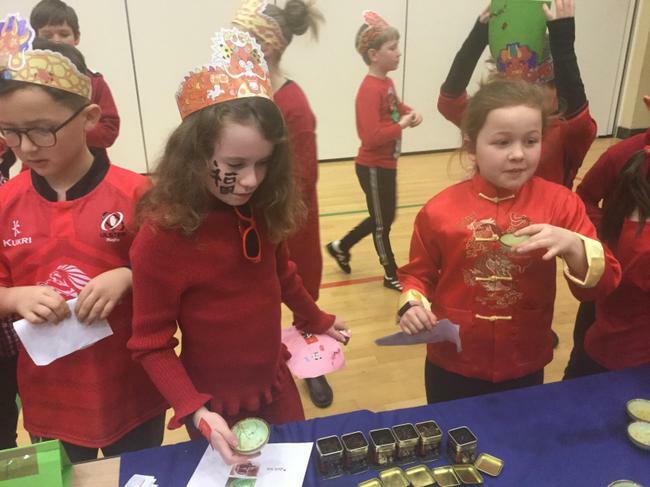 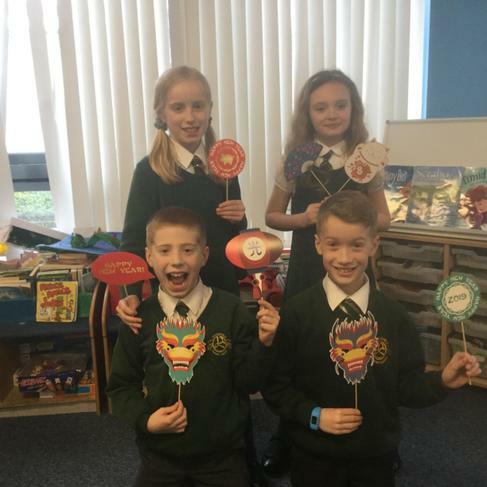 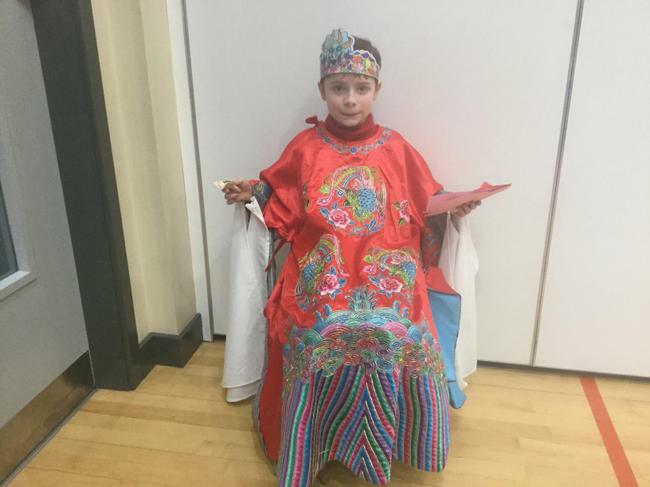 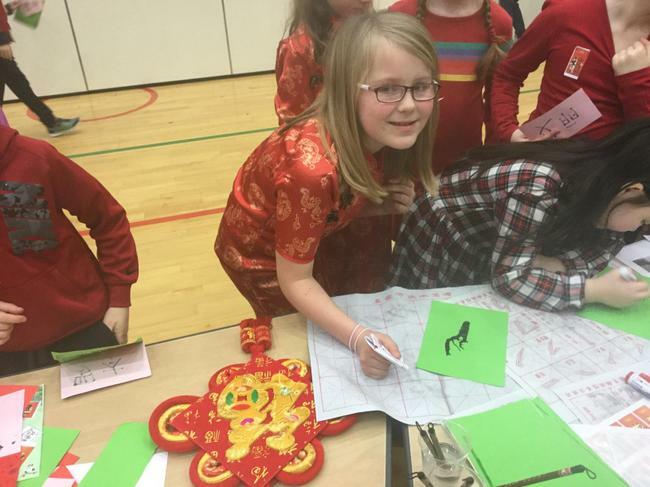 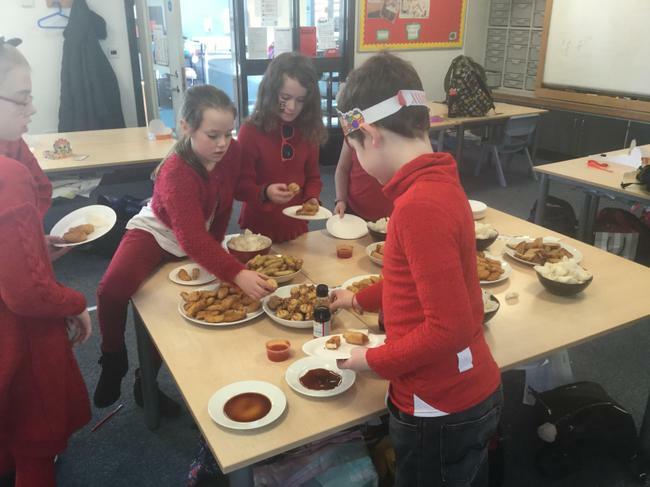 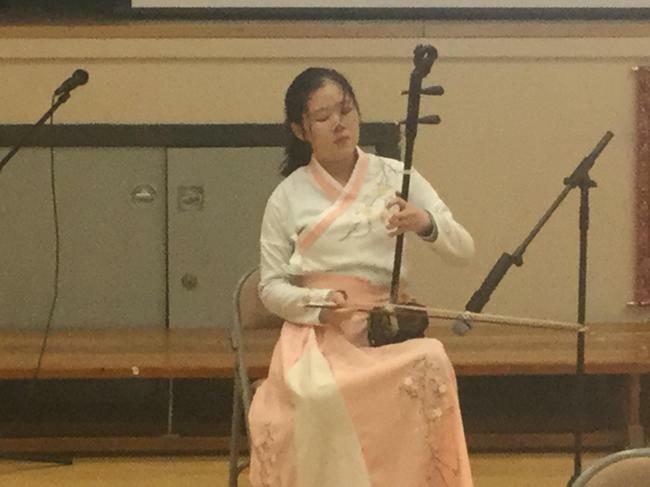 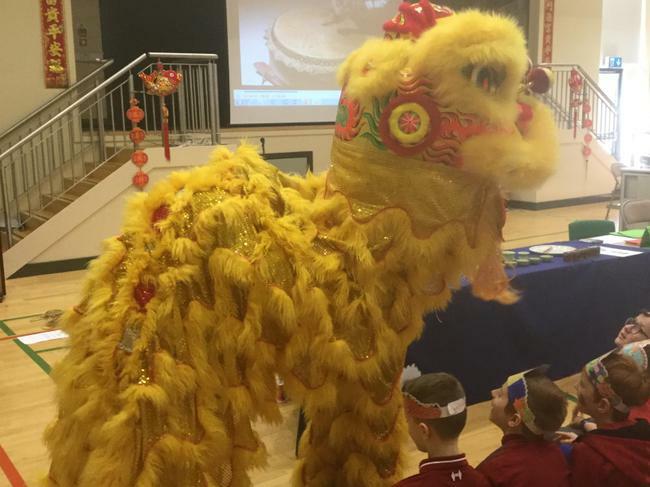 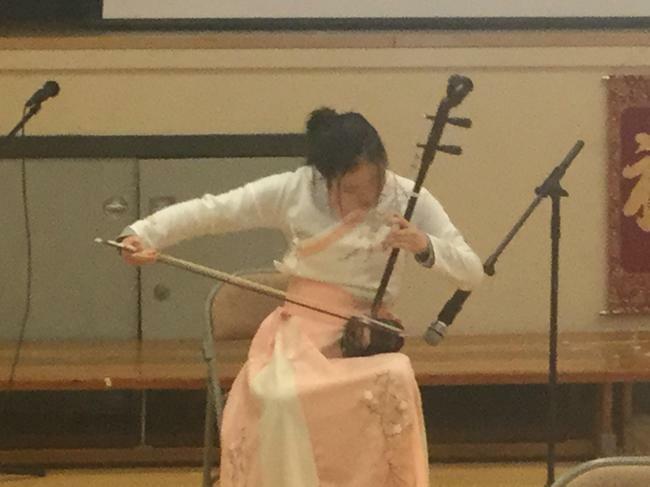 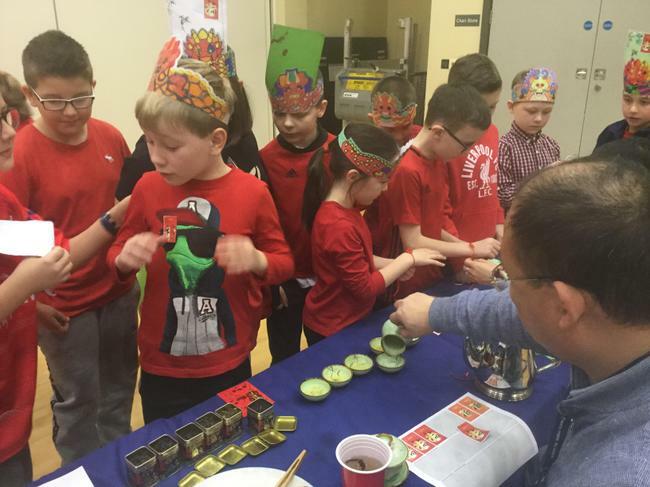 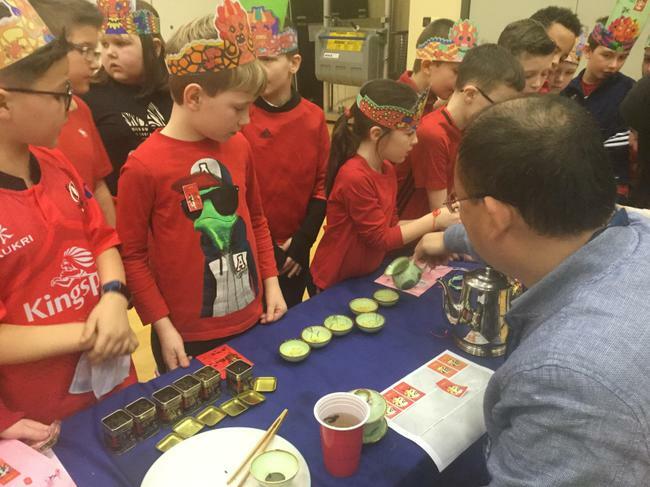 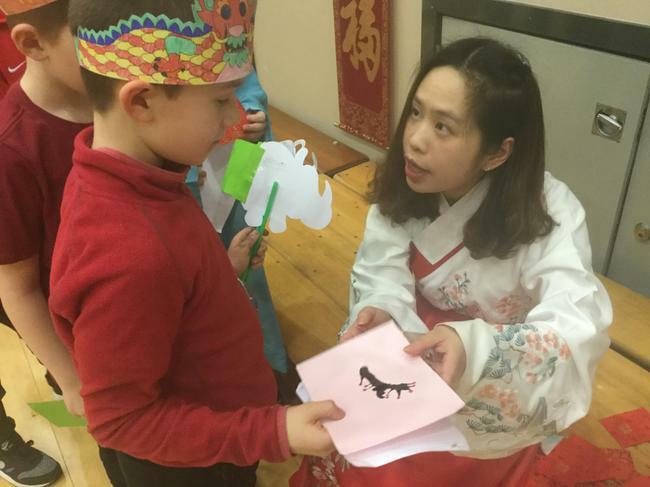 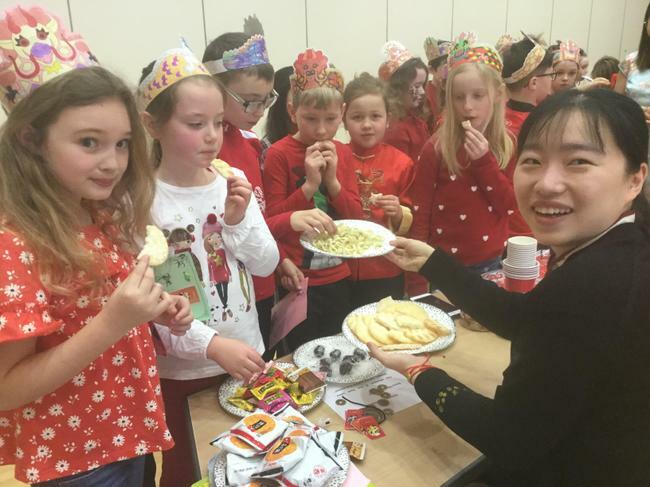 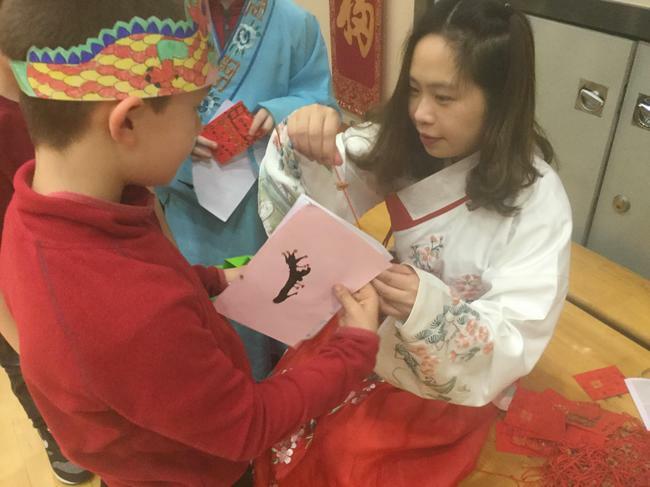 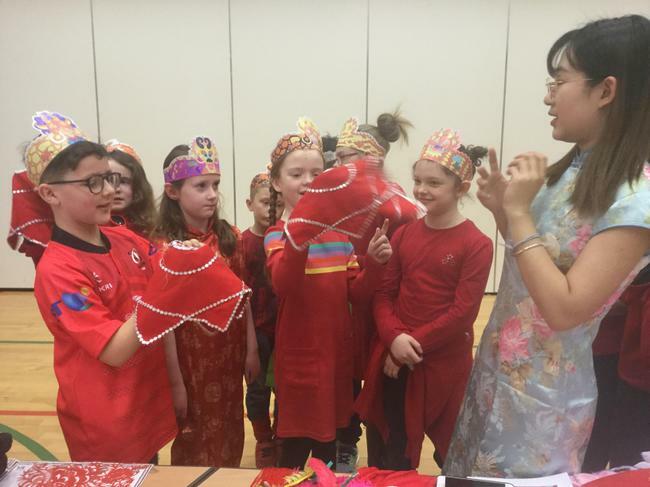 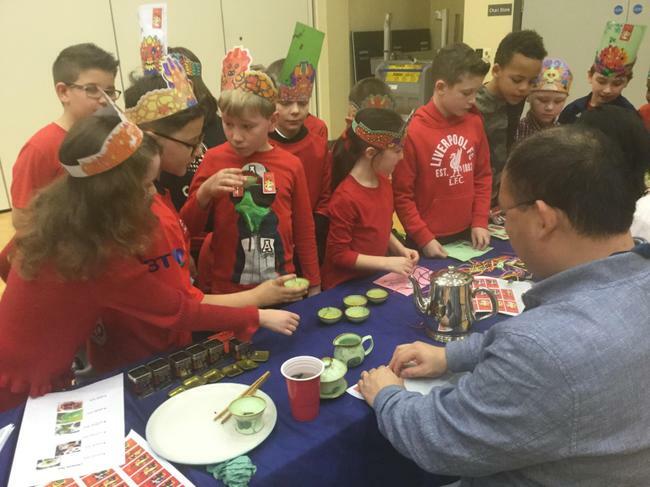 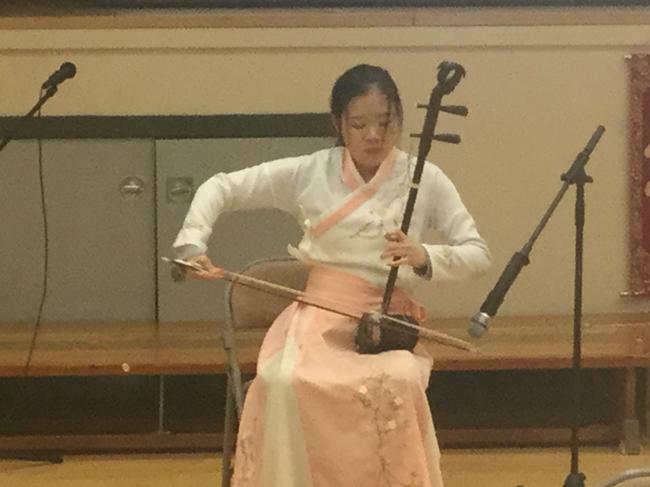 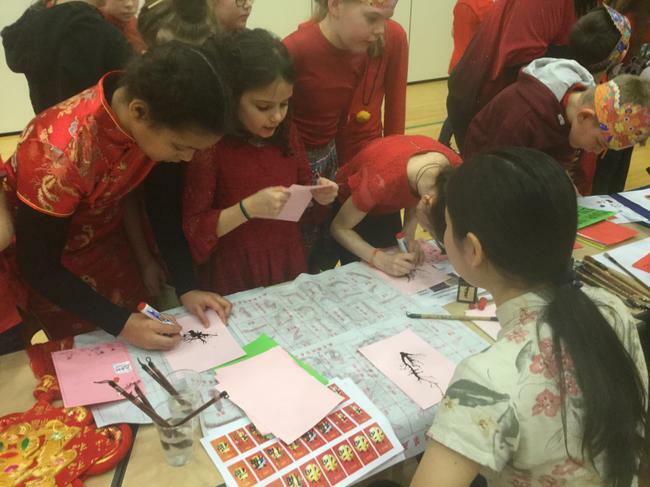 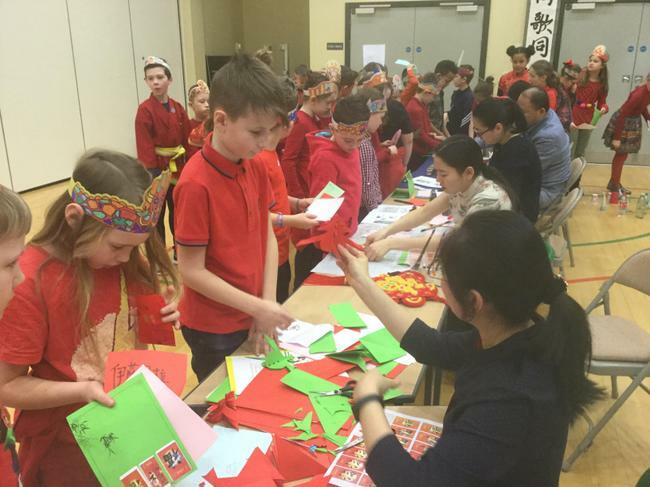 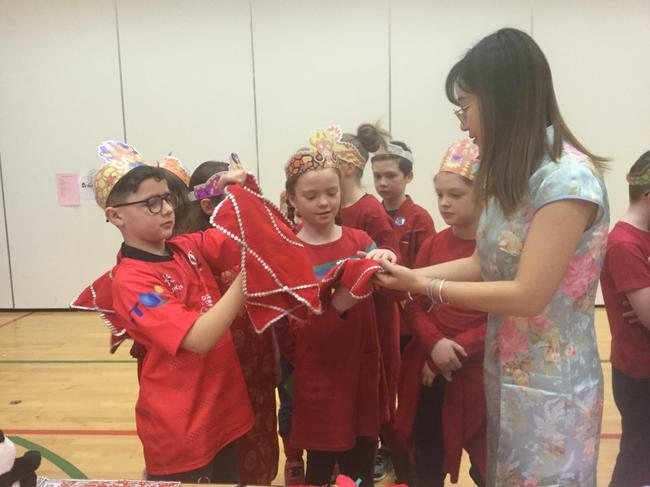 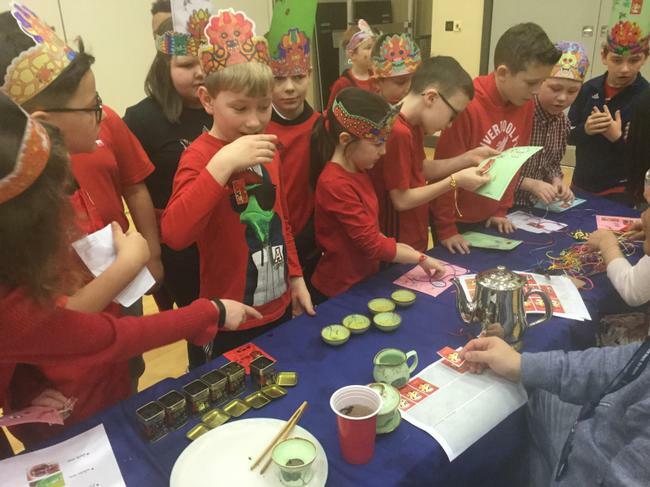 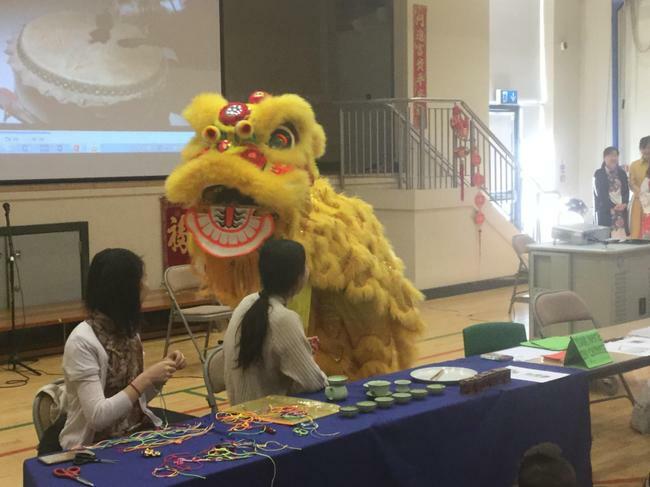 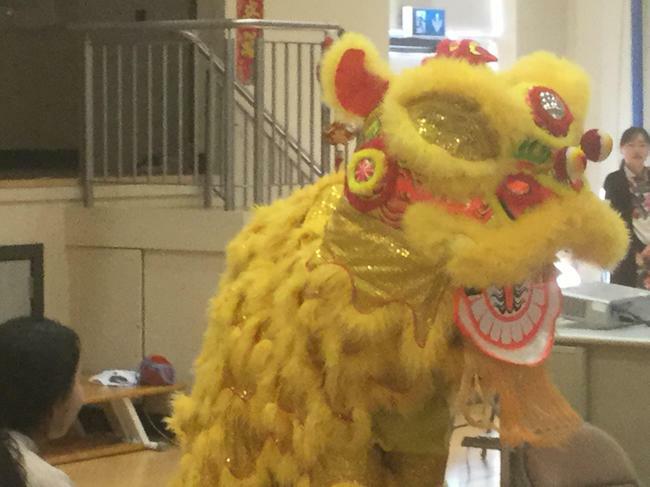 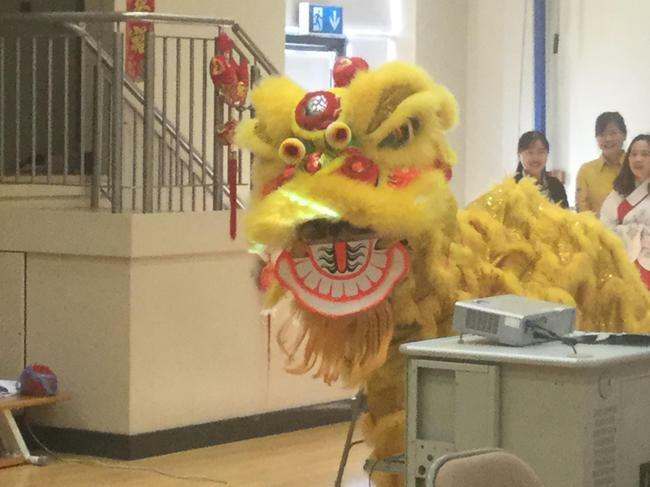 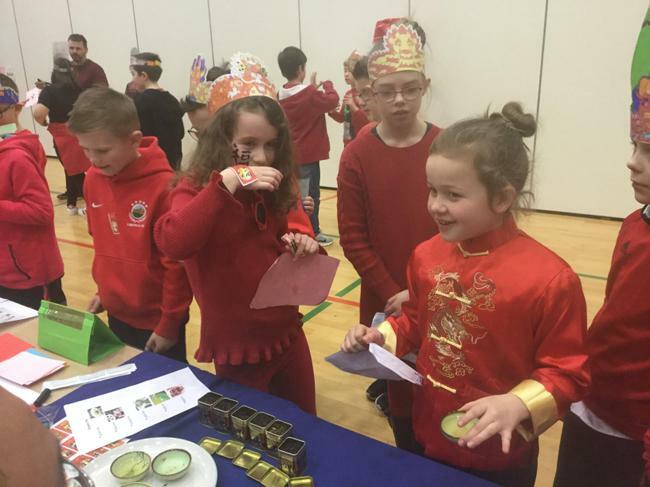 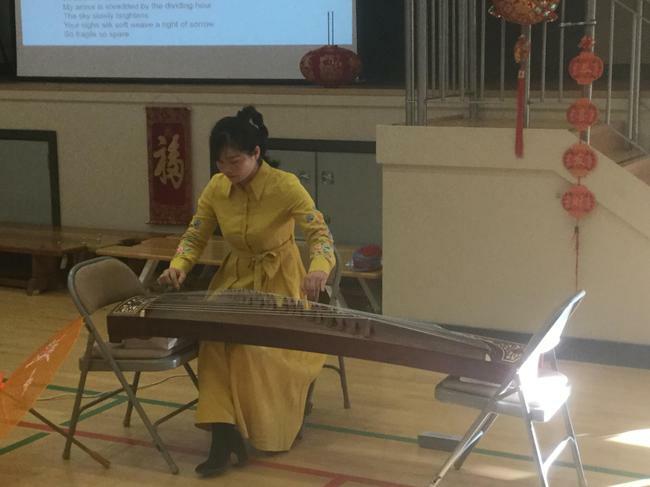 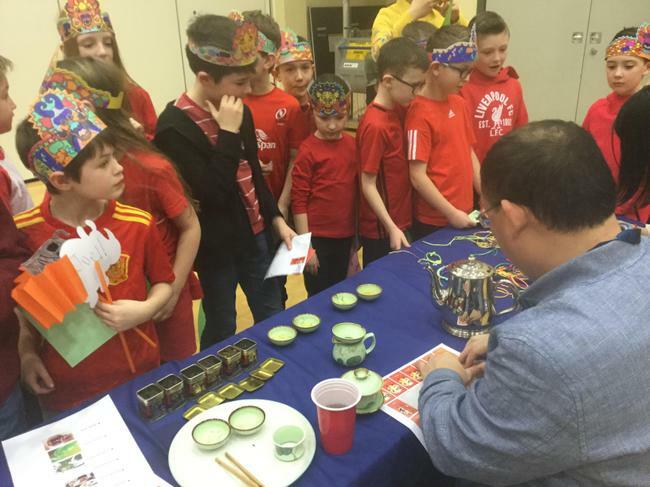 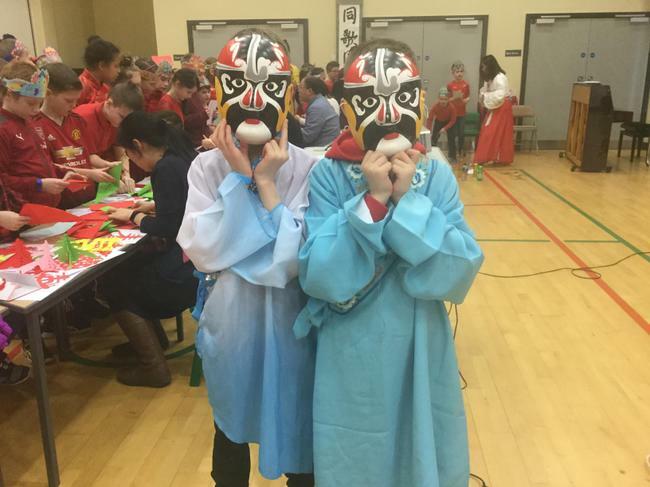 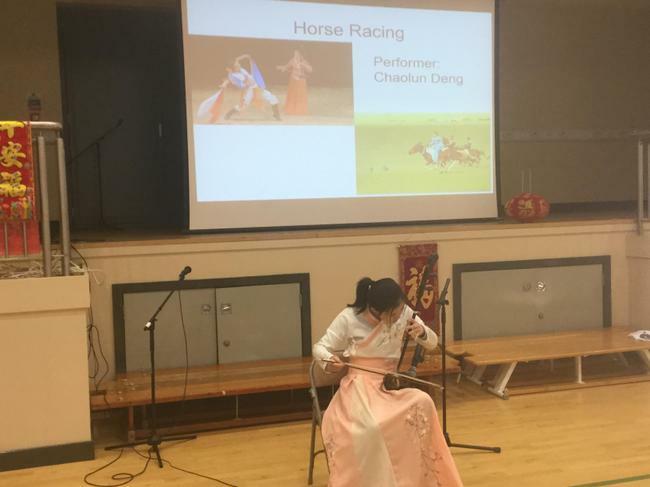 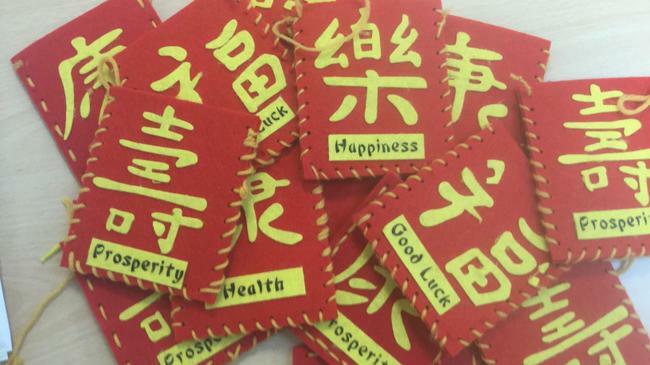 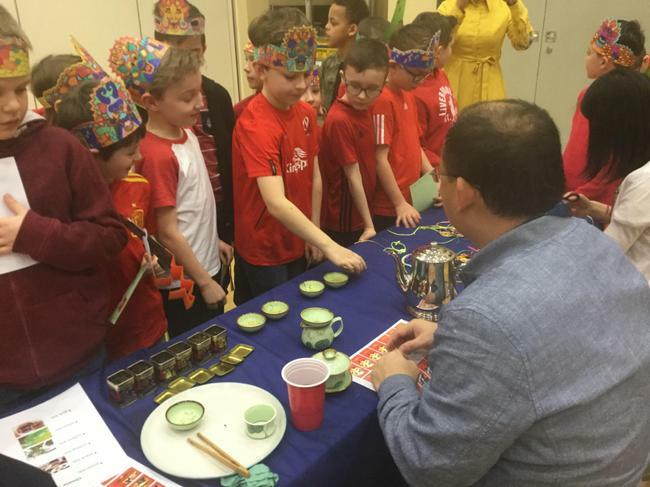 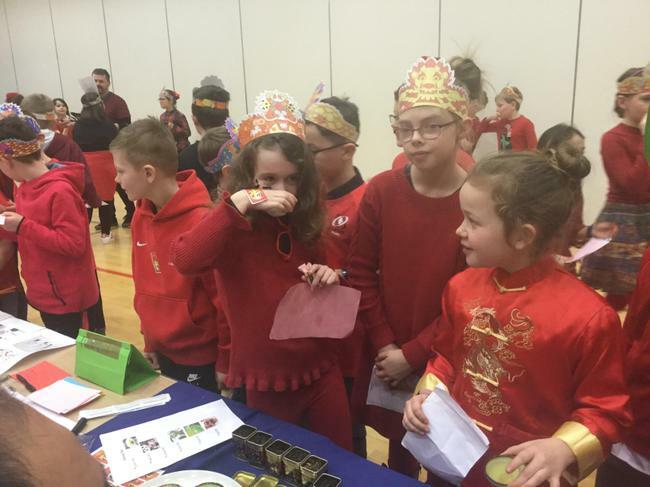 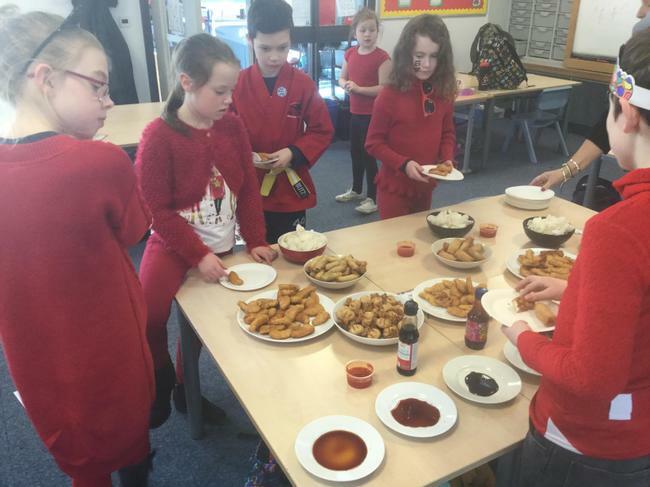 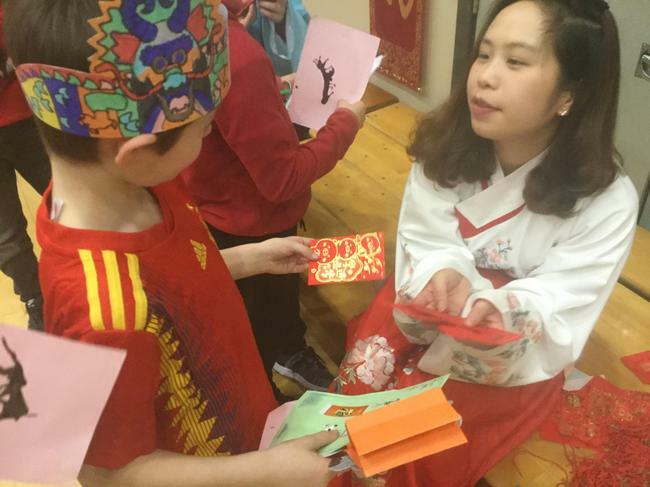 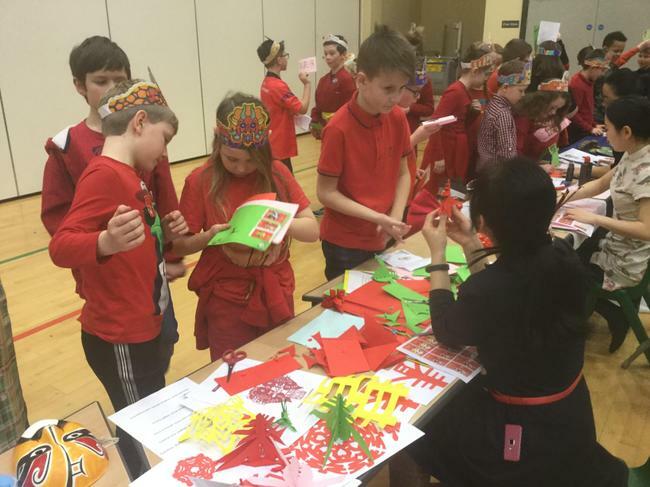 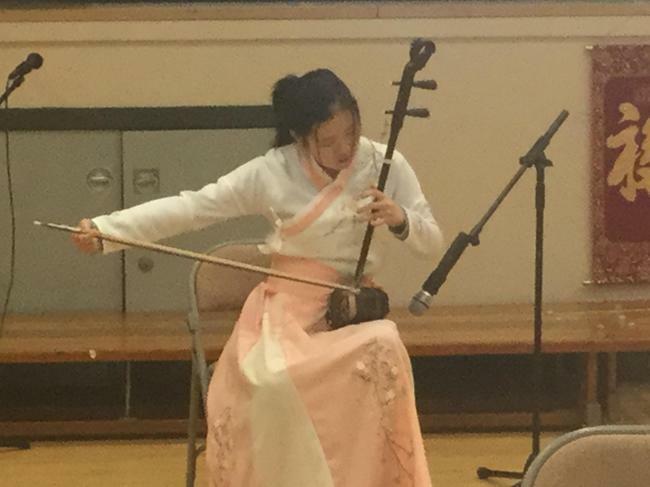 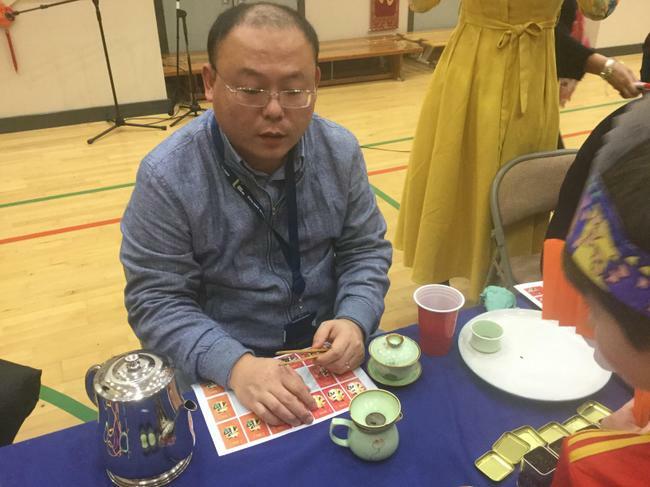 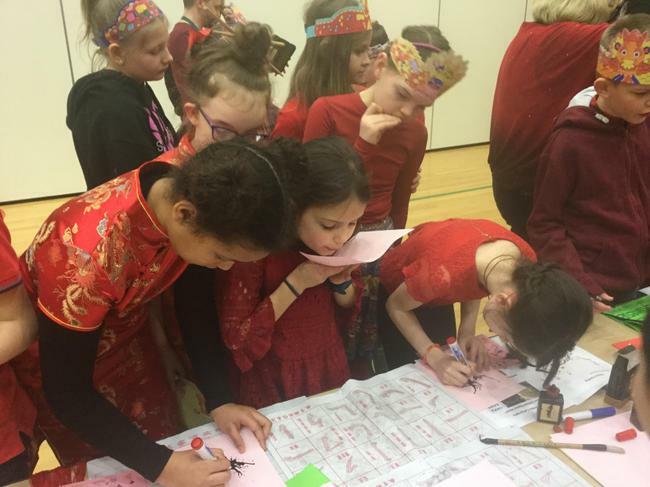 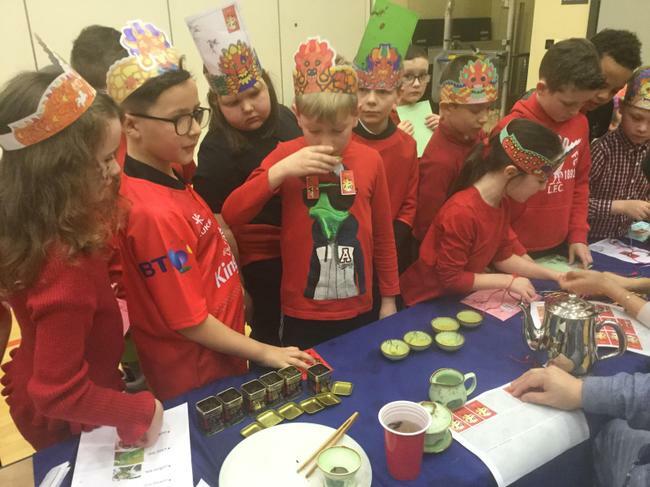 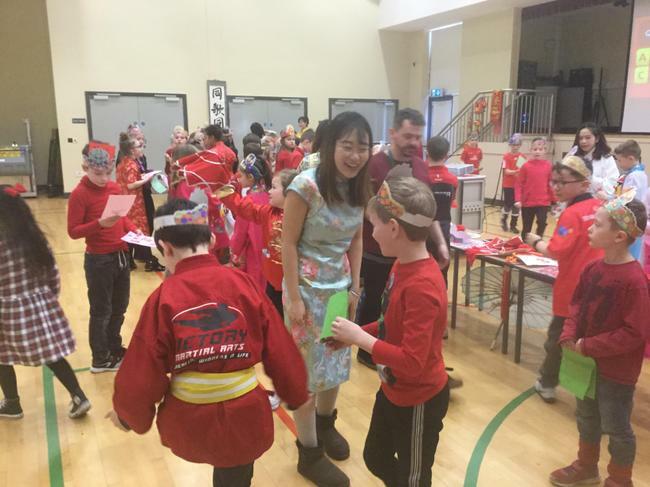 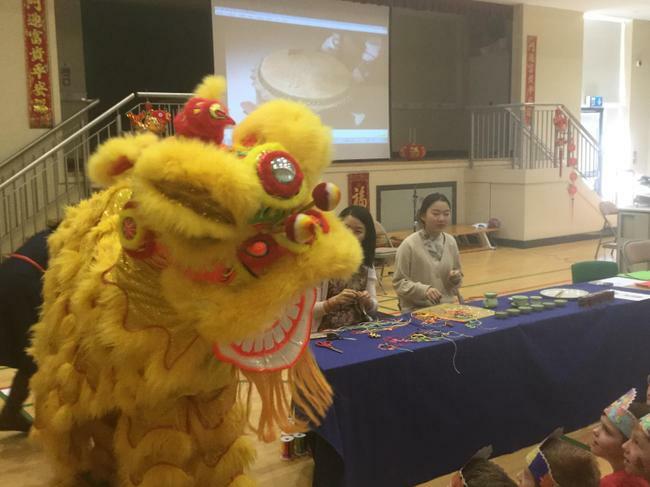 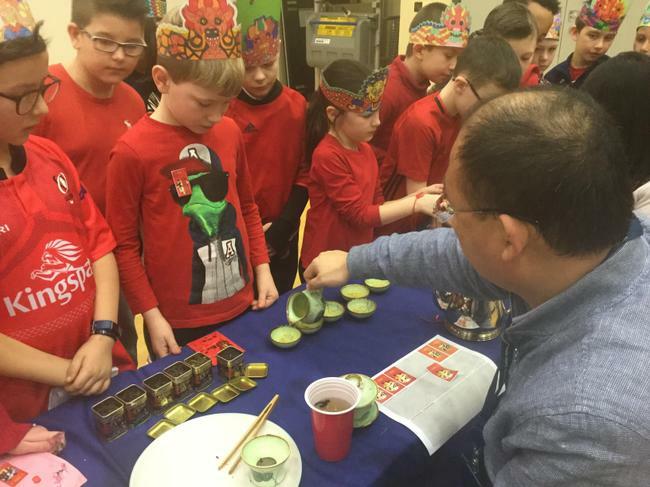 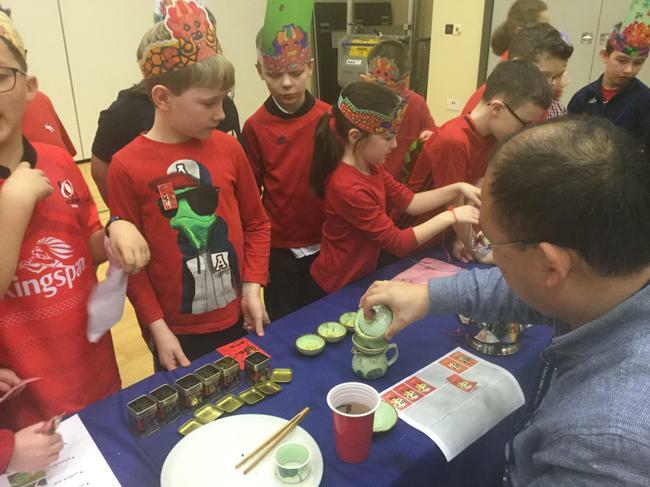 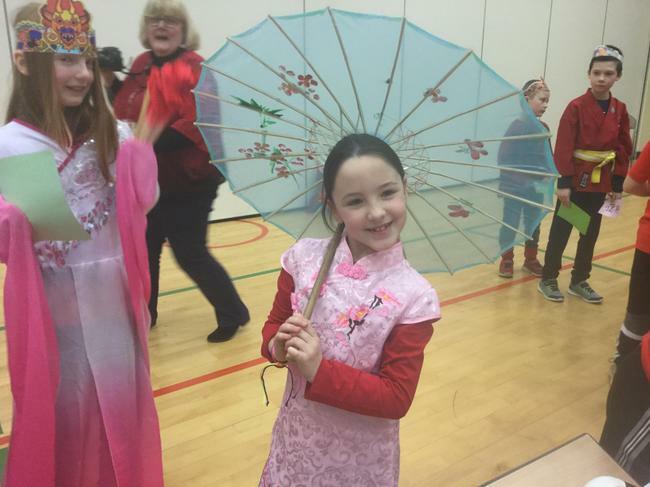 Visitors from the Chinese community helped us to celebrate Chinese New Year. 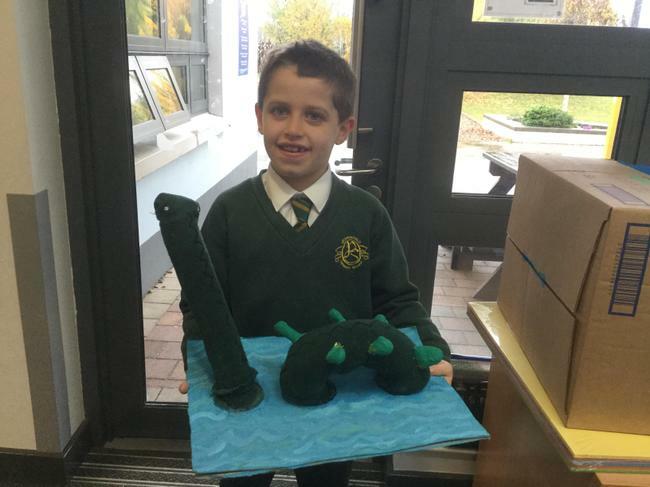 Our Amazing Lough Neagh Monsters! 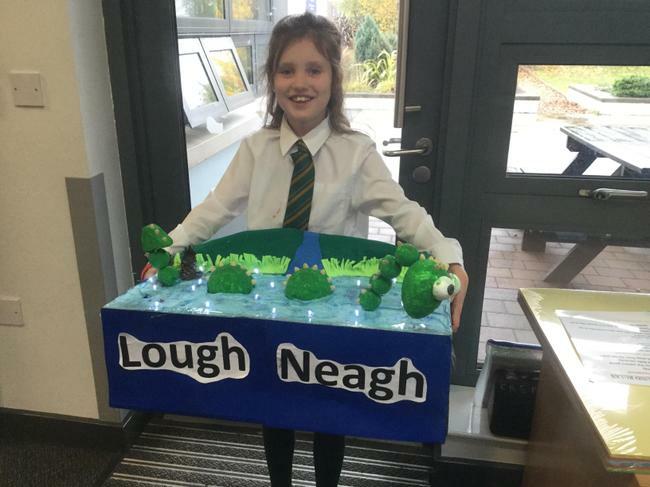 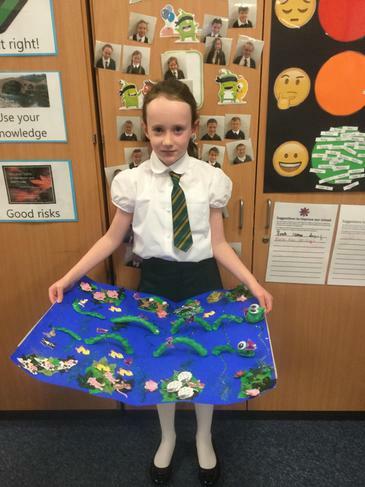 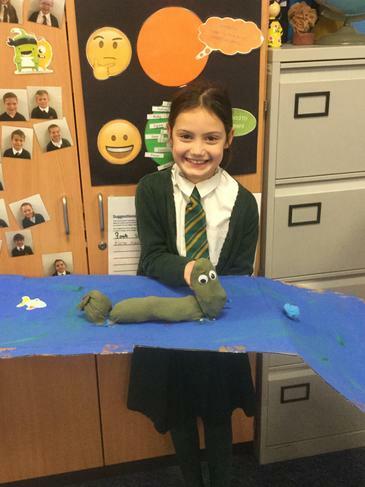 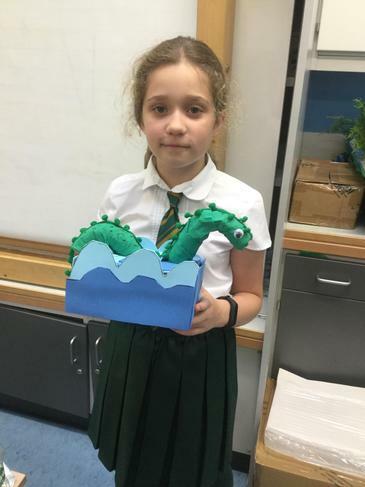 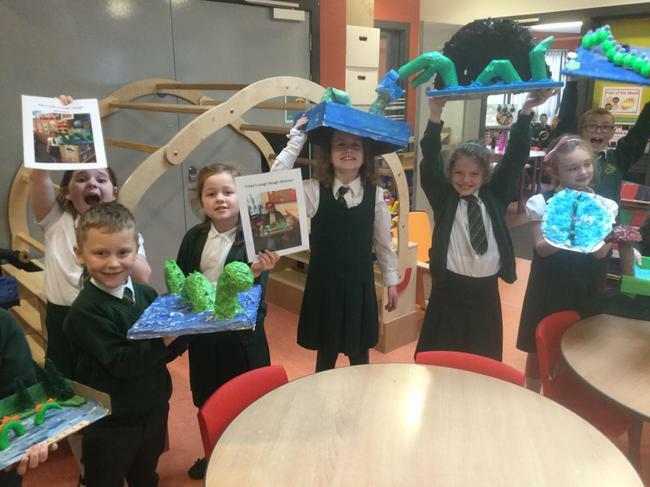 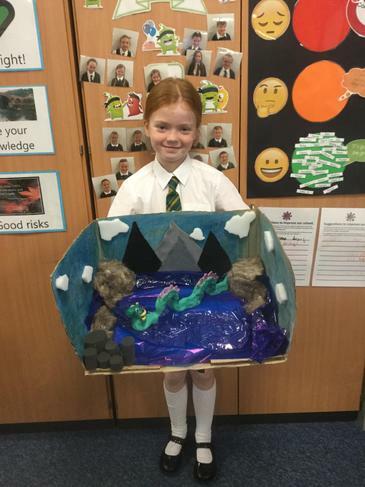 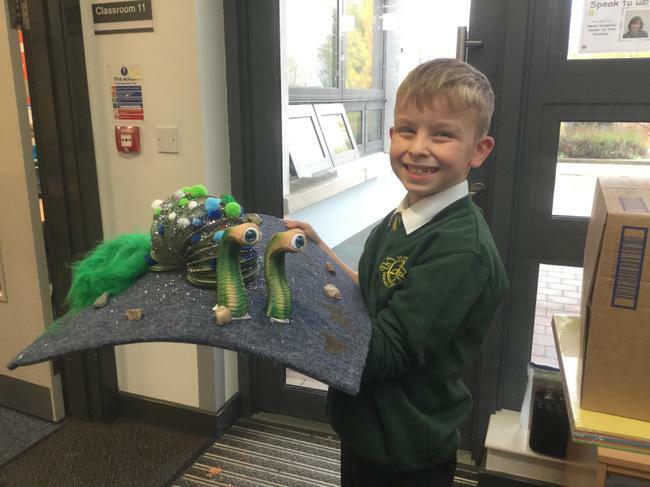 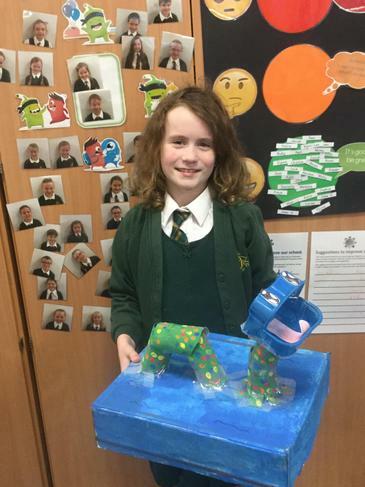 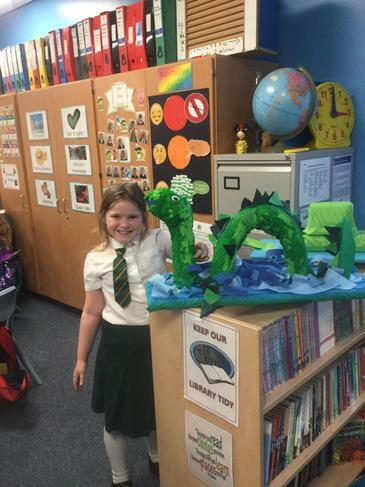 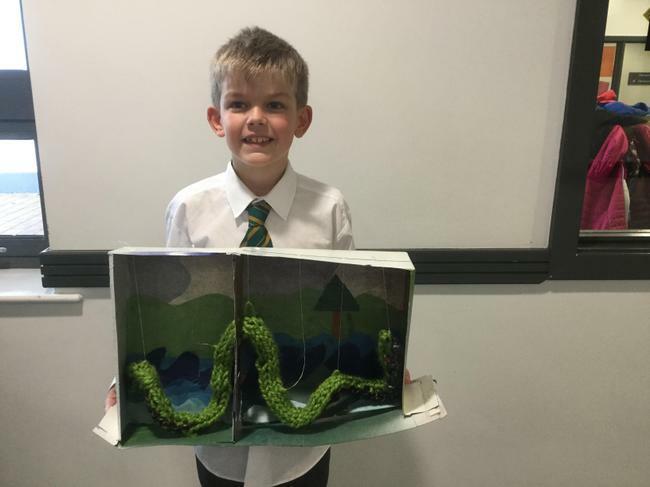 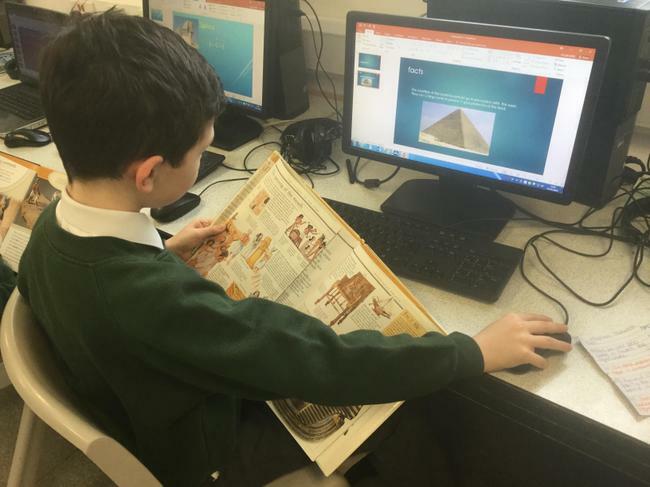 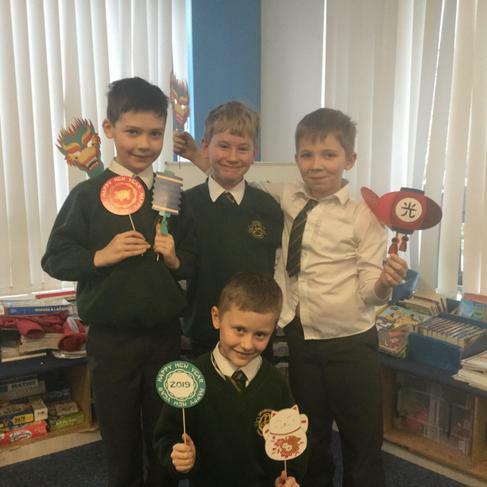 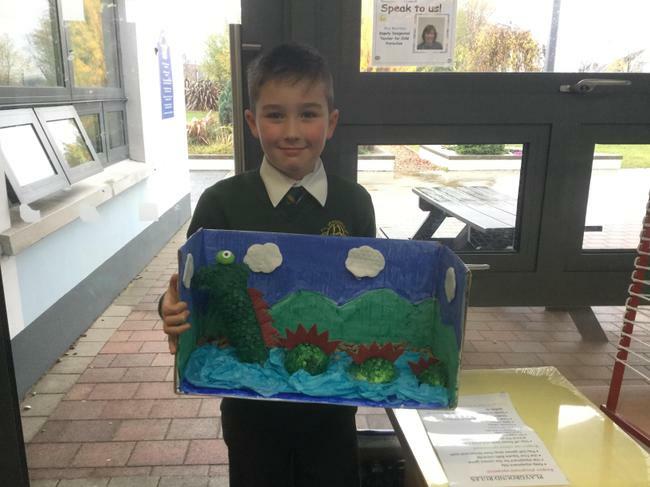 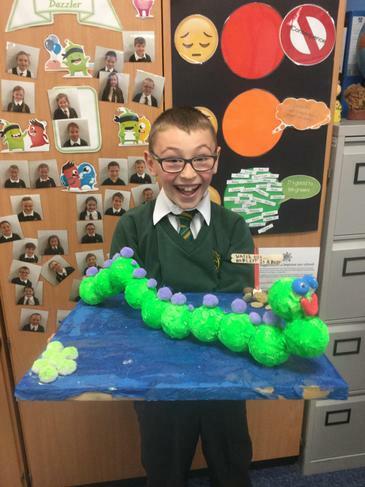 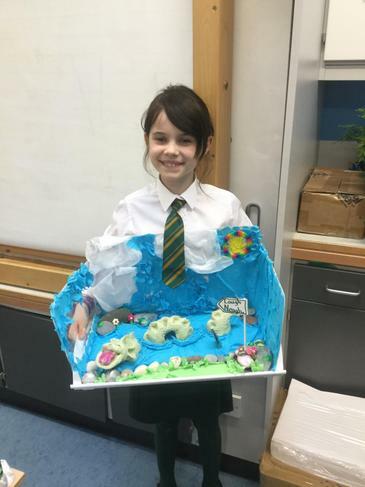 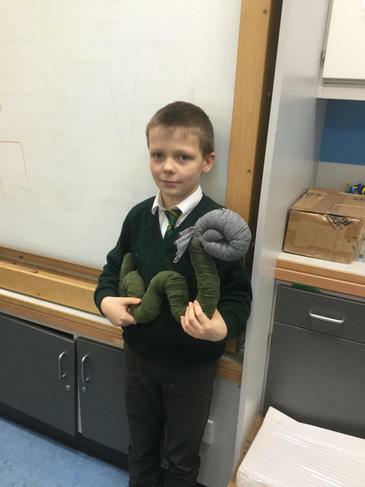 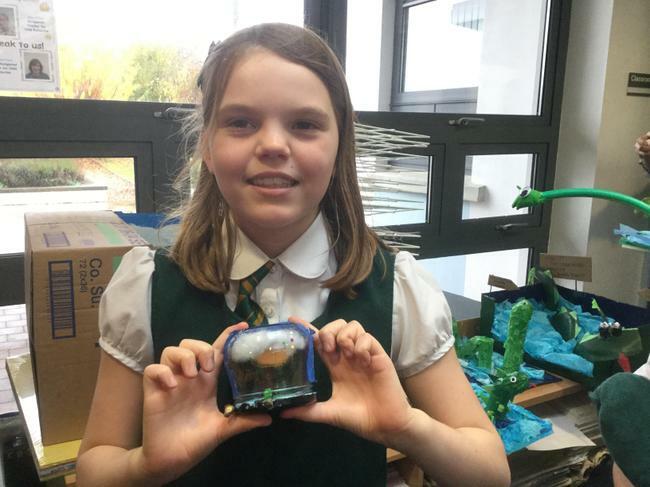 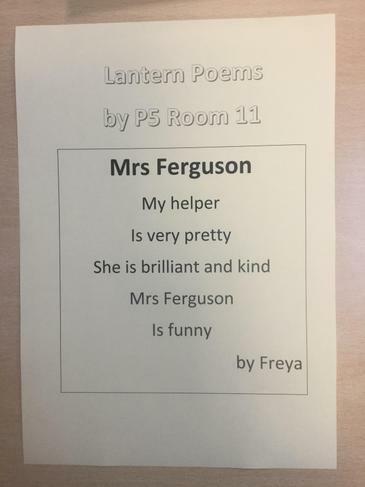 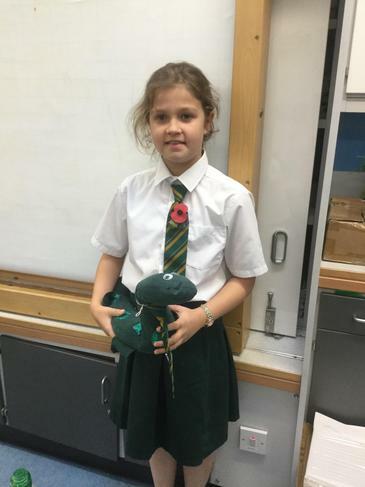 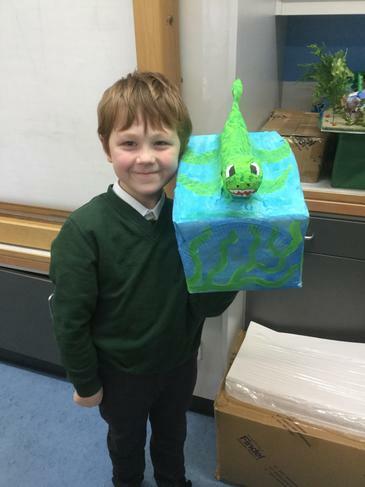 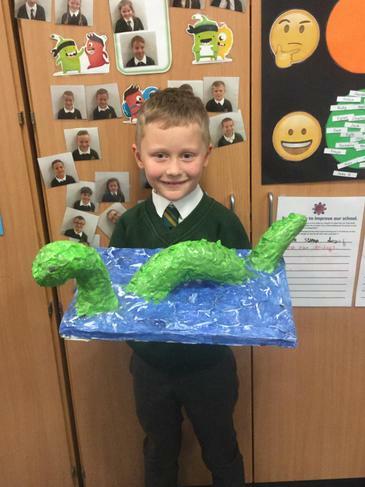 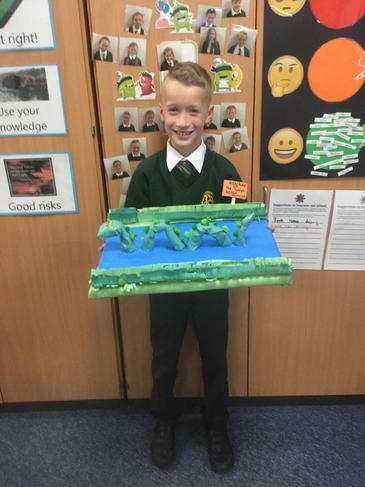 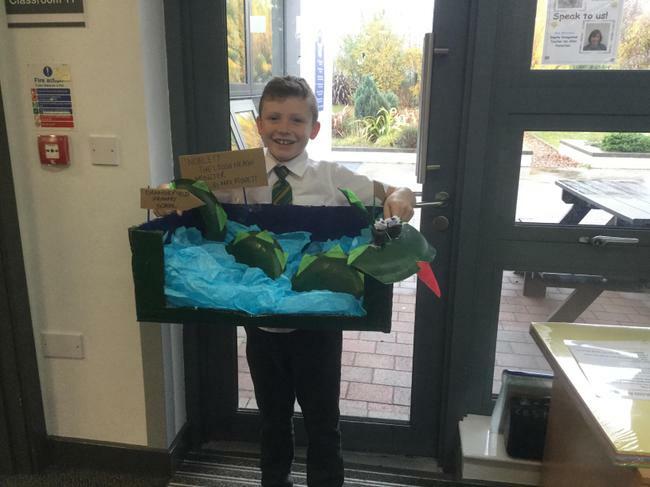 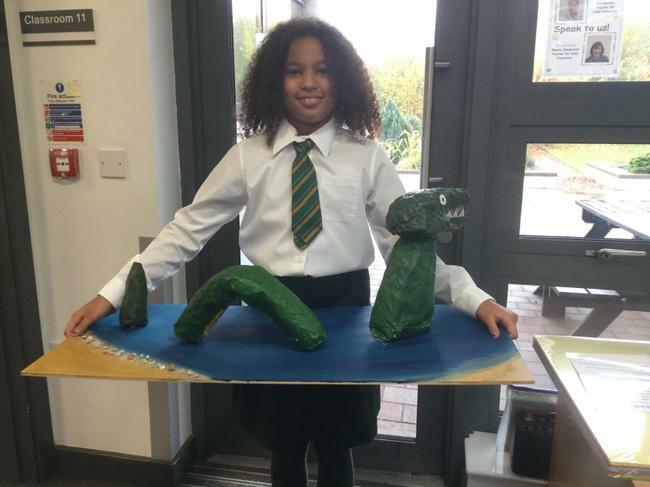 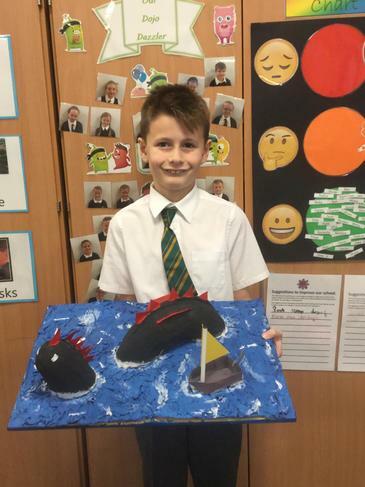 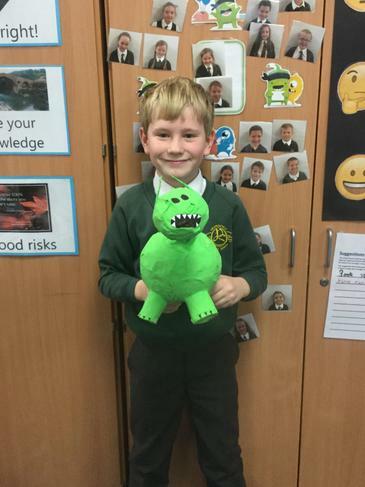 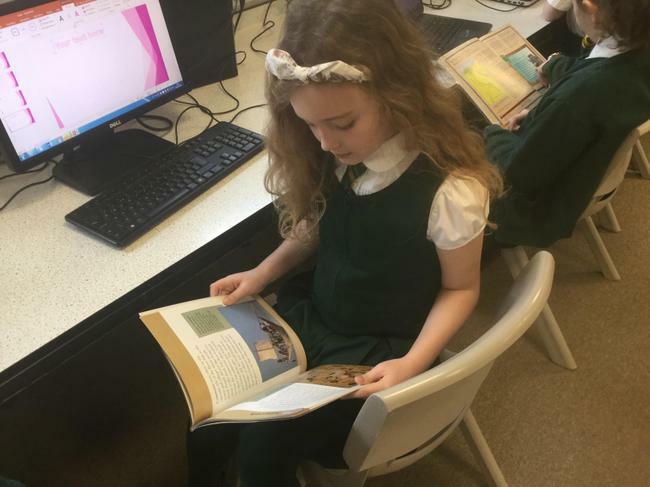 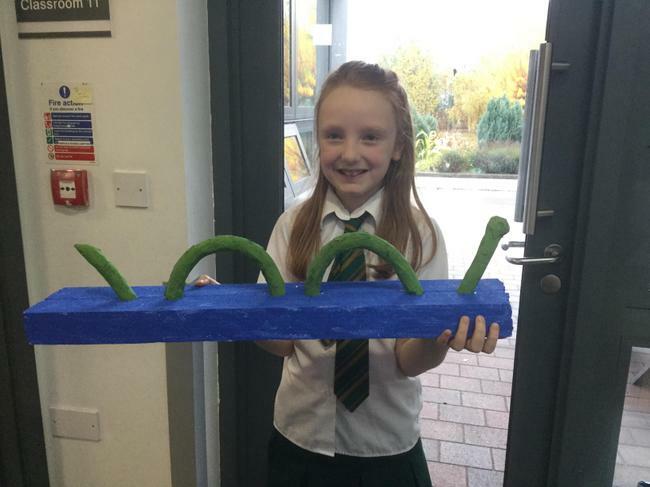 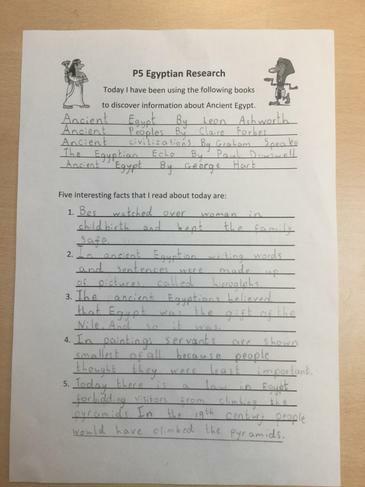 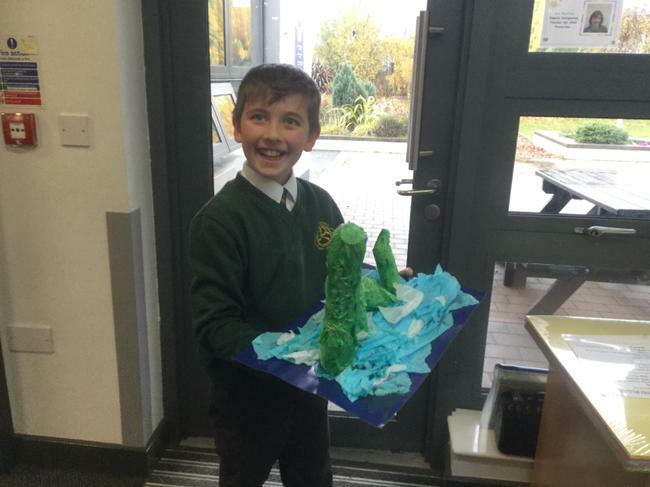 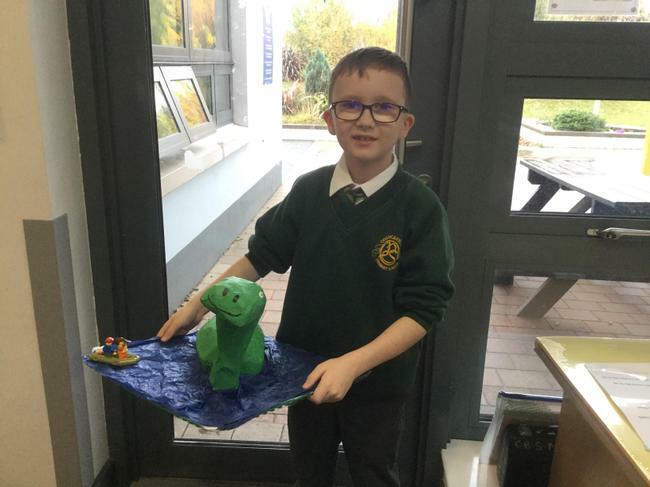 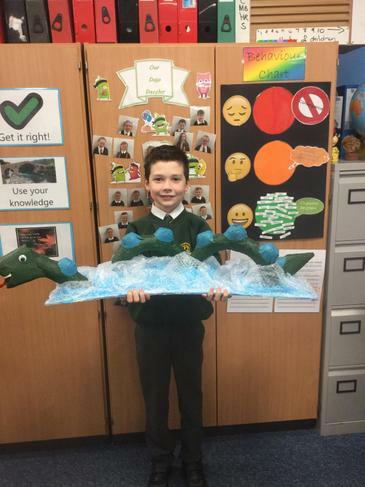 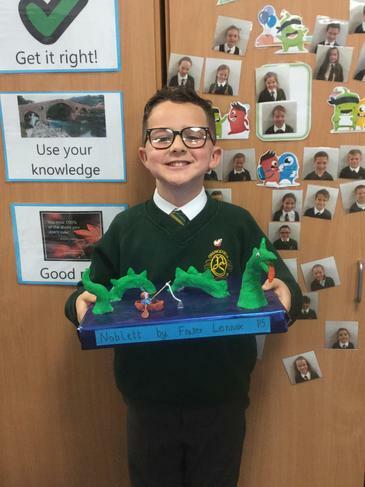 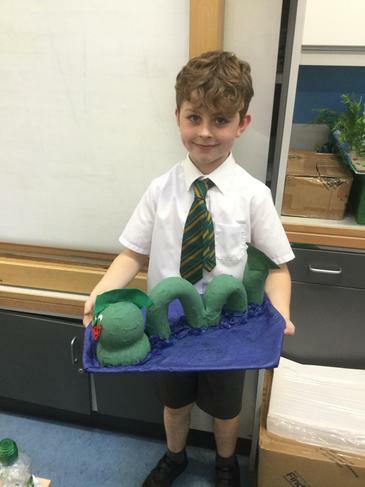 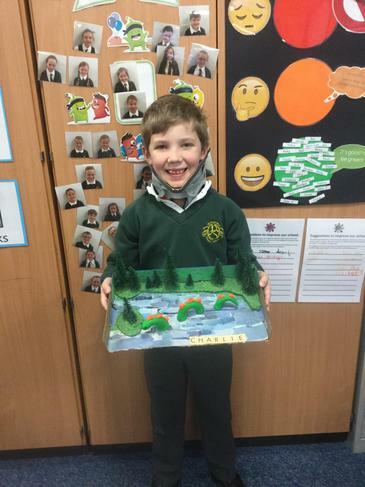 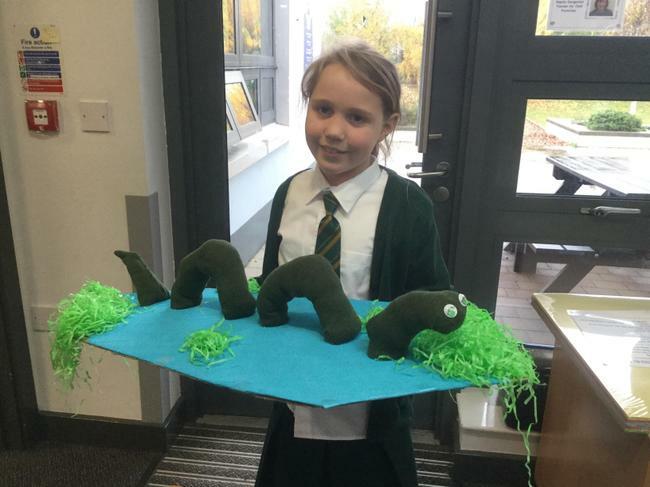 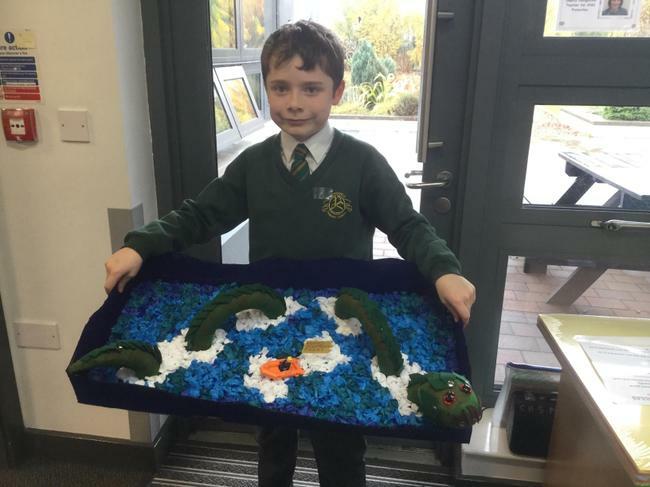 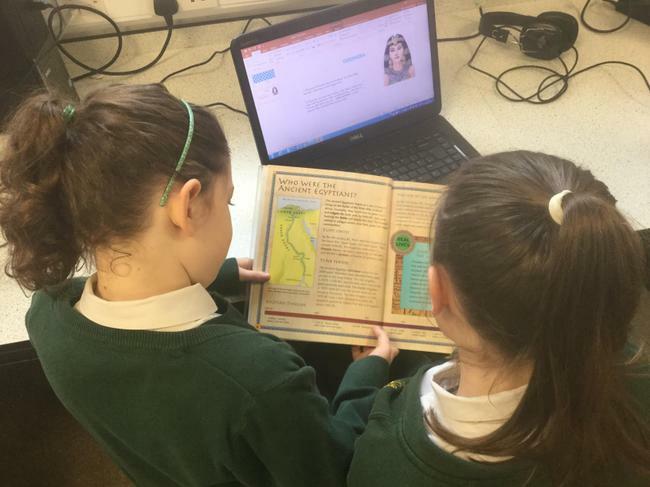 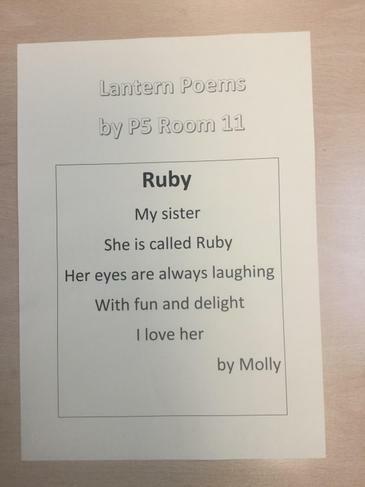 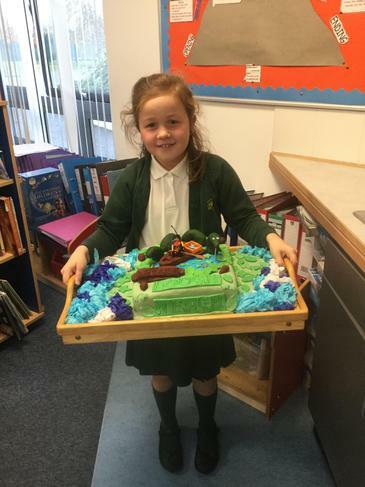 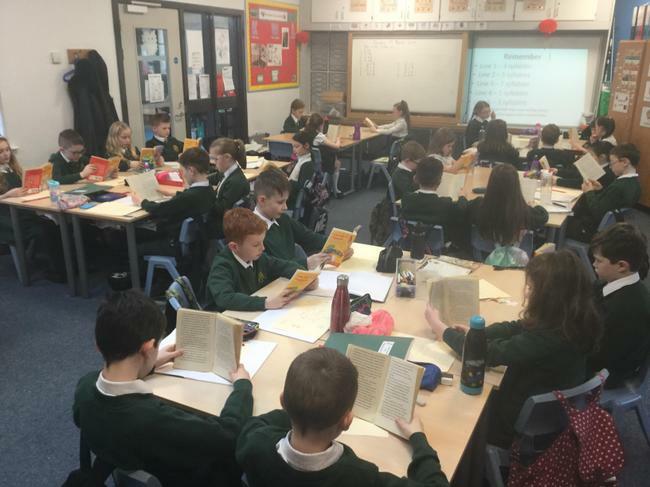 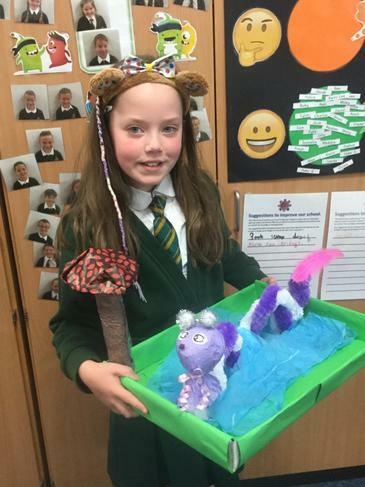 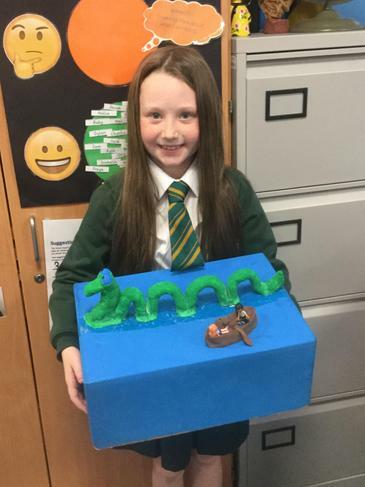 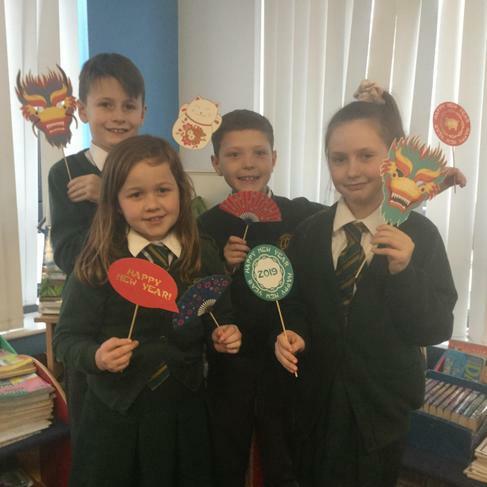 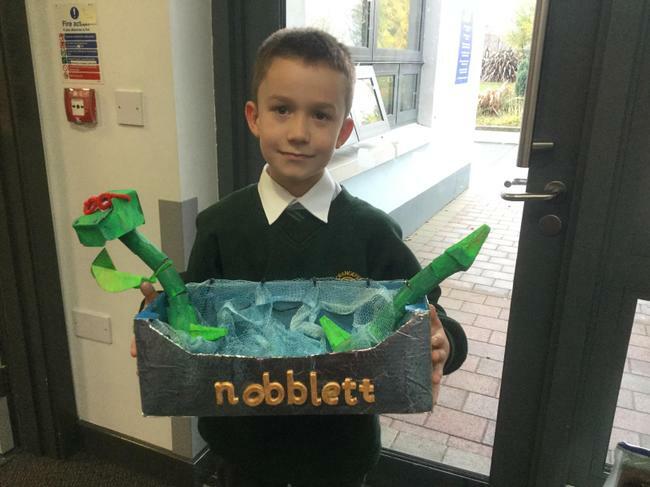 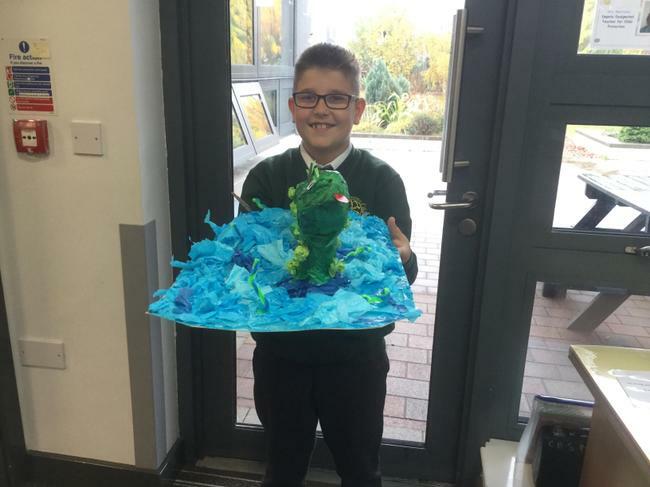 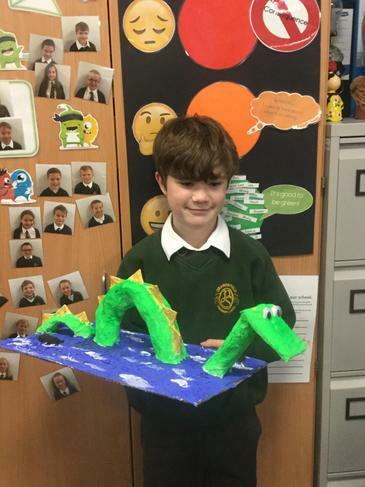 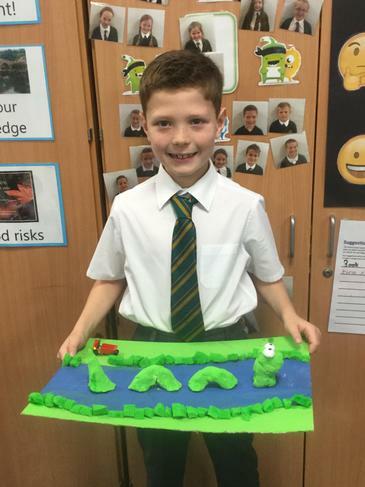 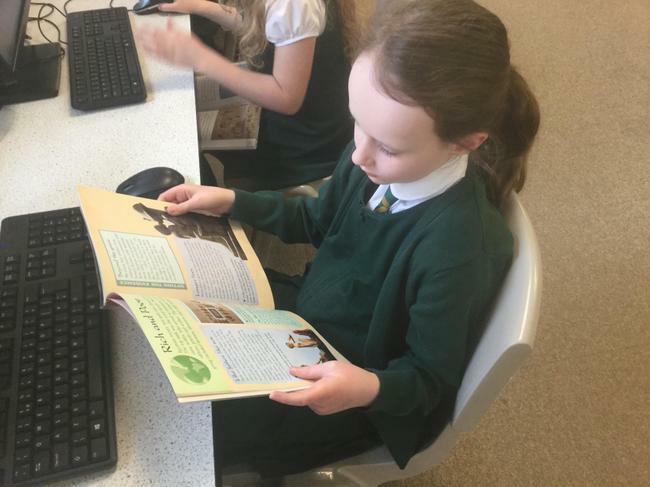 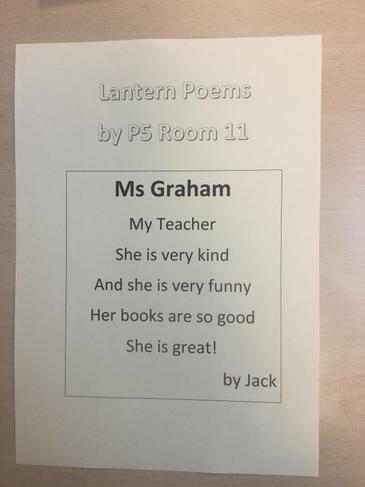 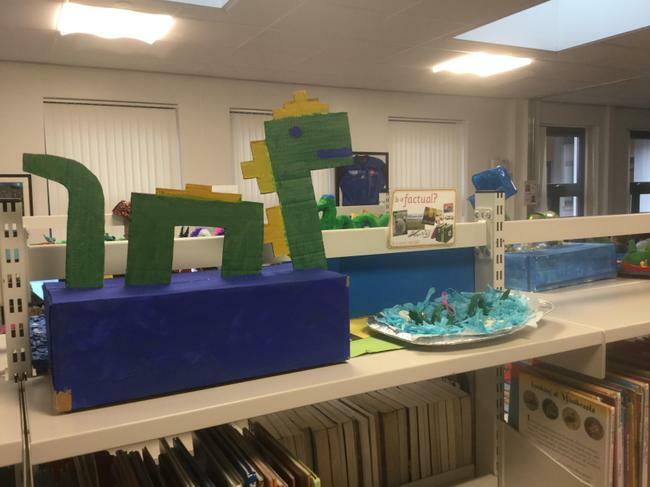 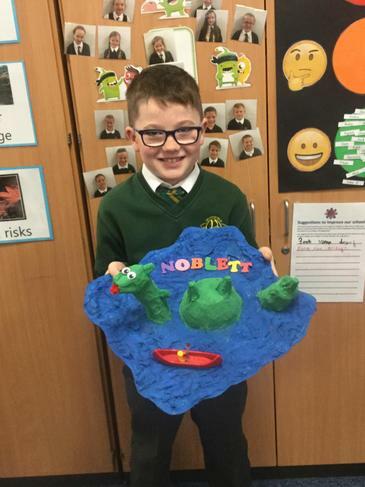 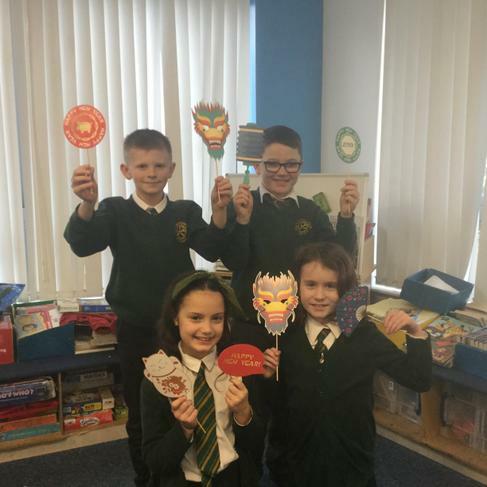 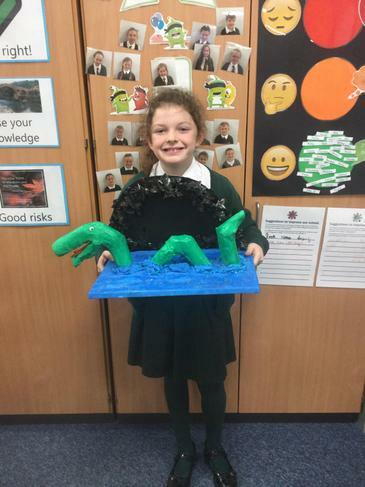 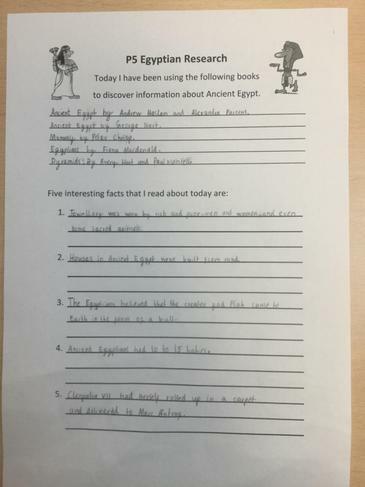 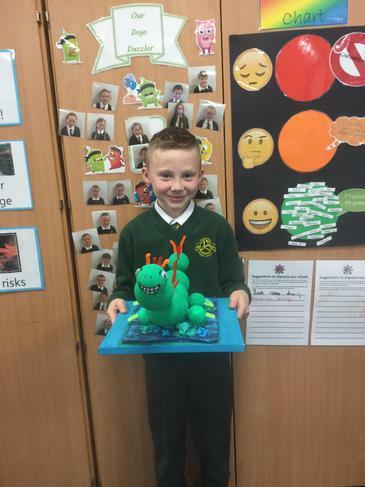 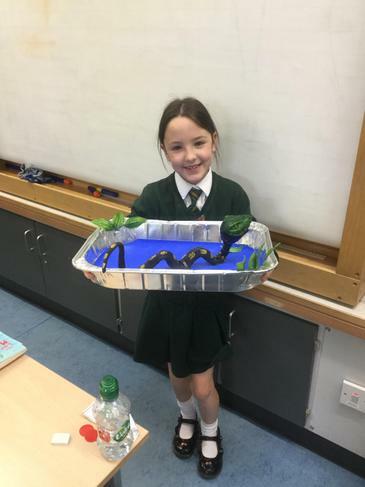 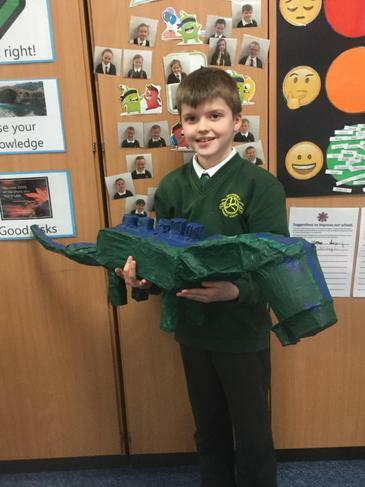 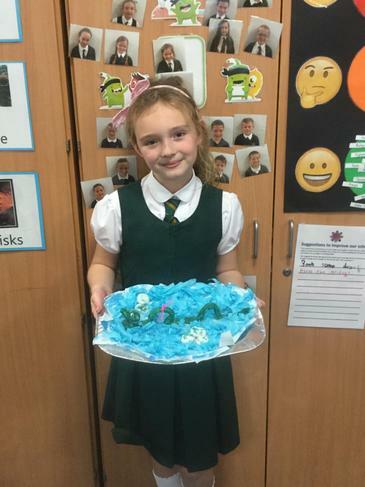 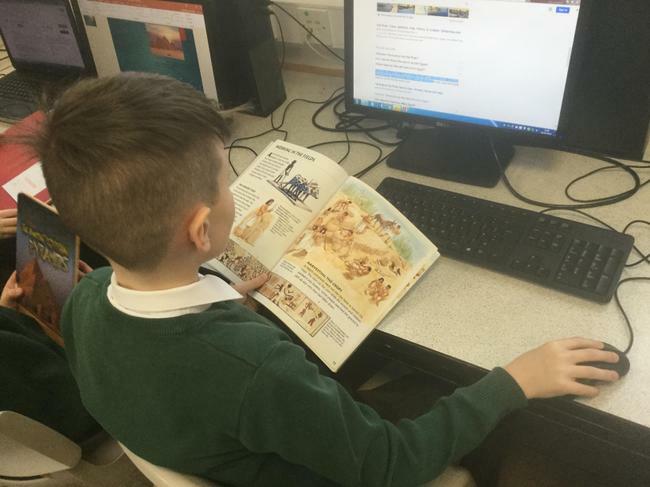 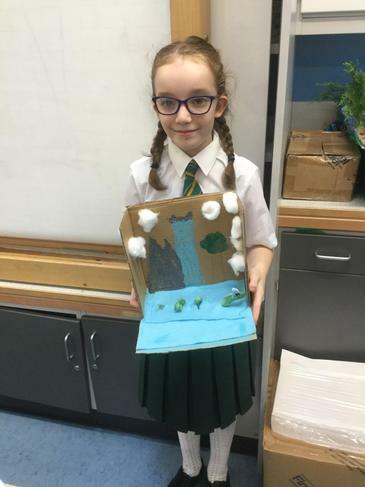 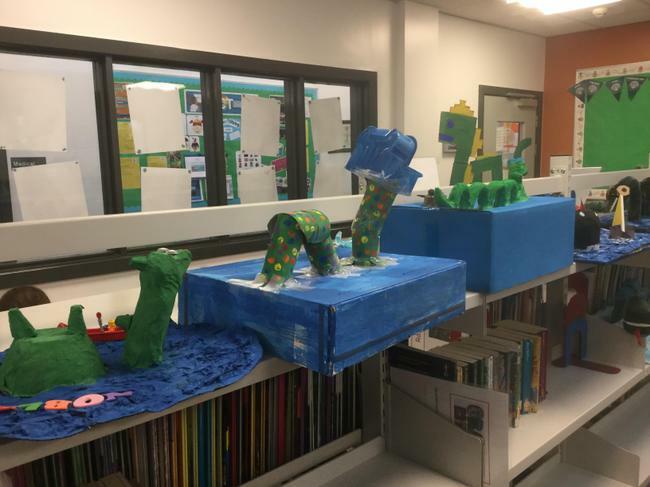 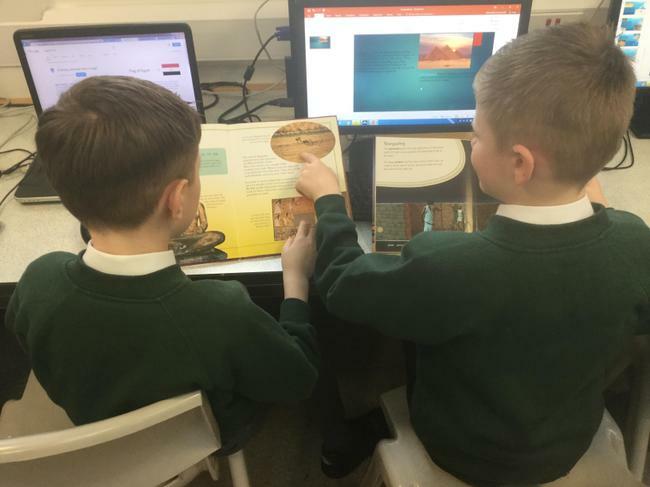 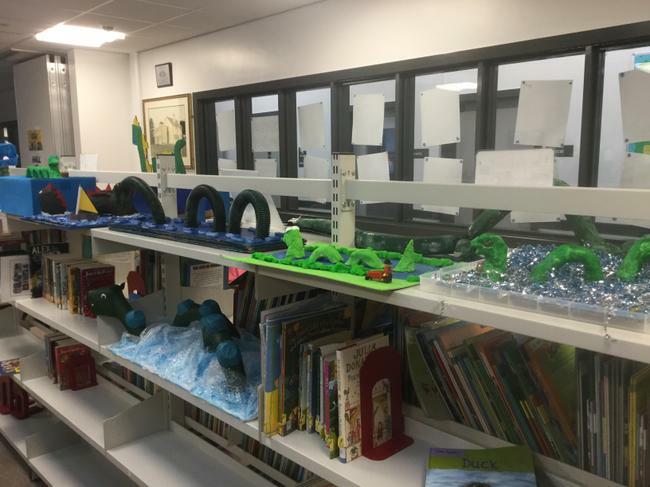 We are very proud of our Lough Neagh Monsters. 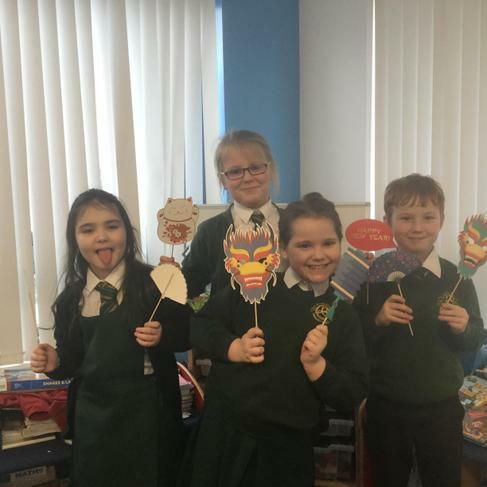 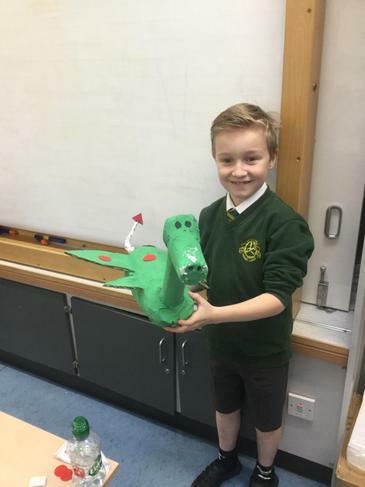 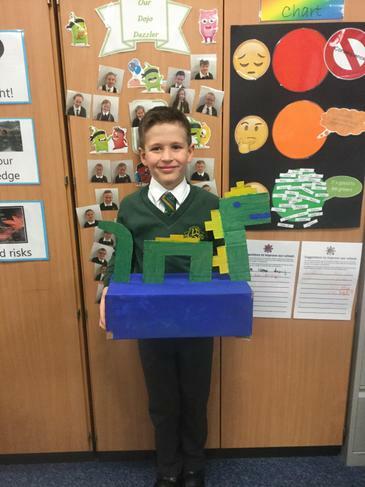 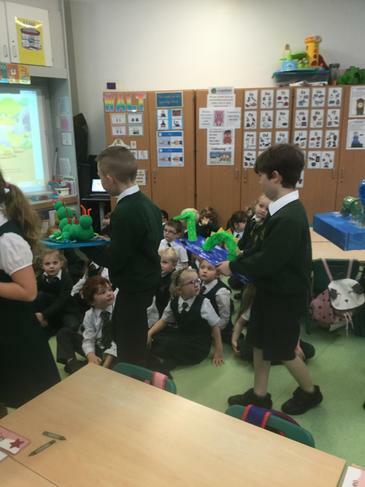 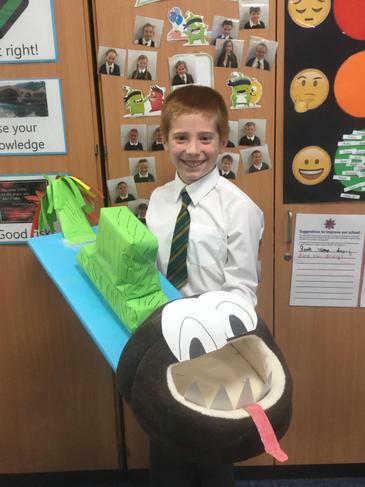 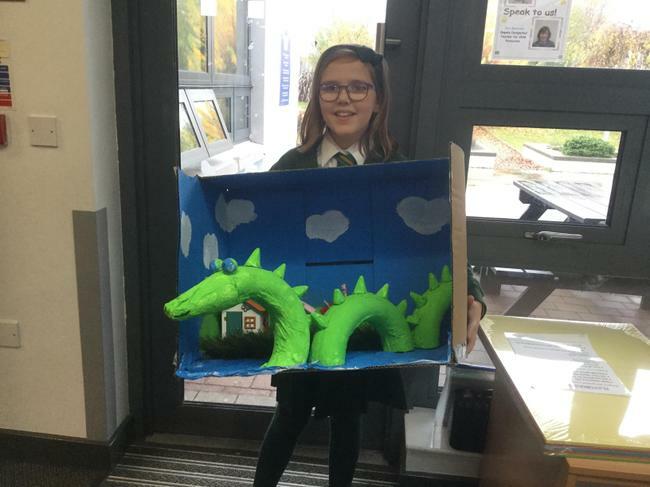 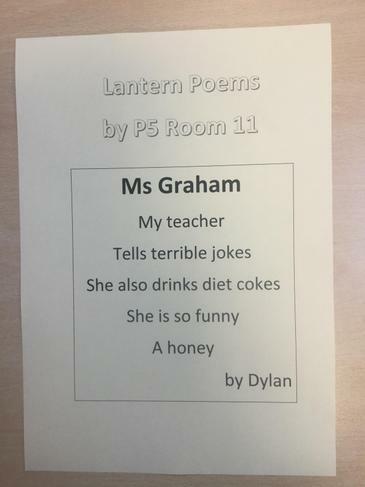 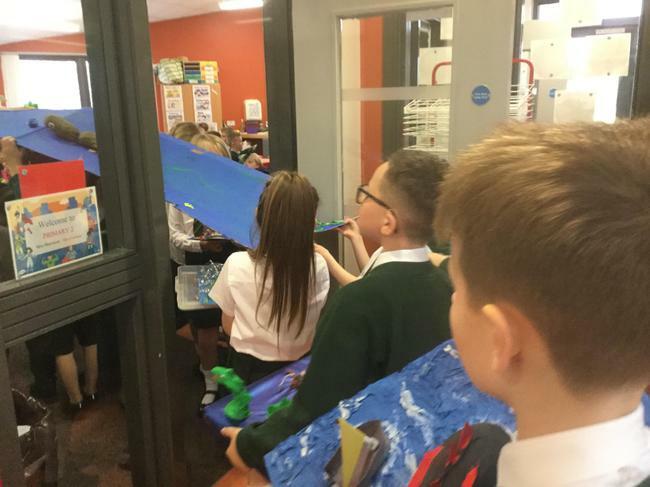 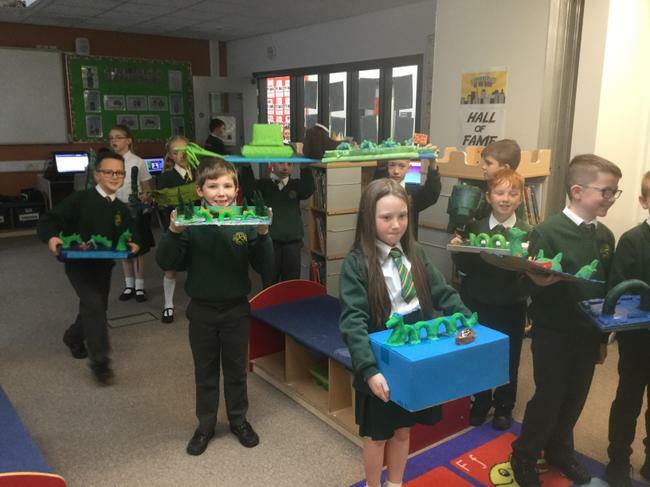 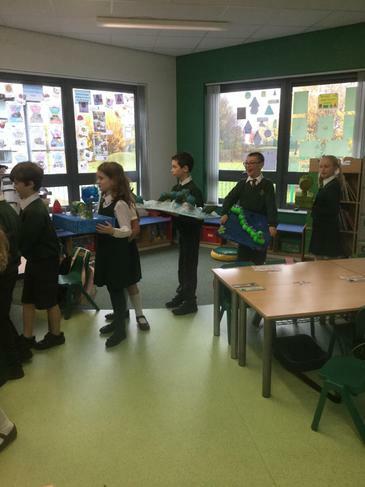 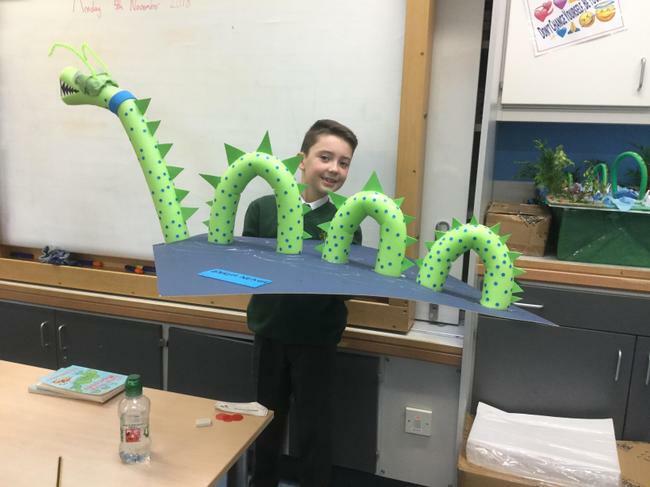 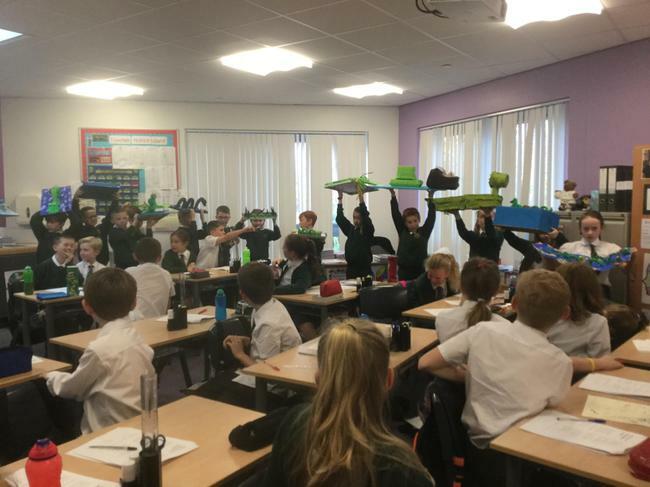 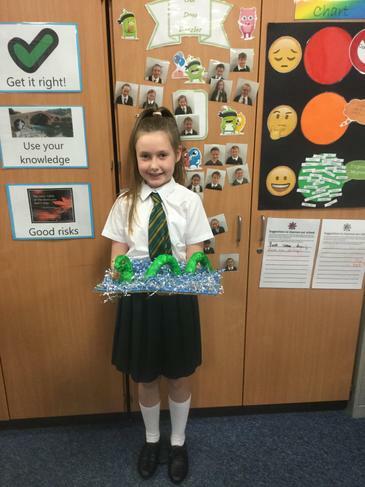 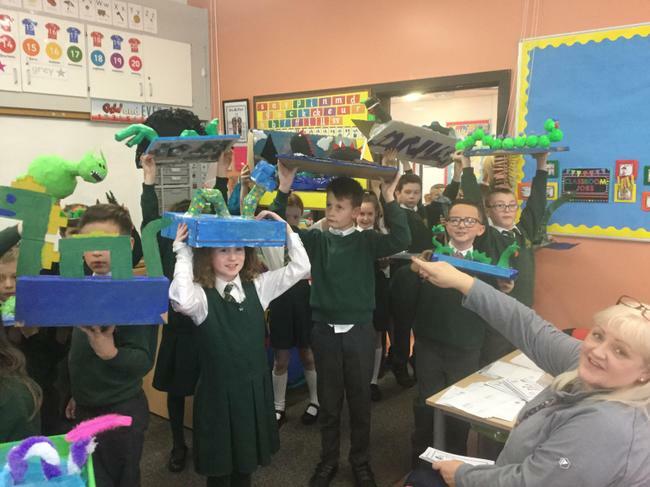 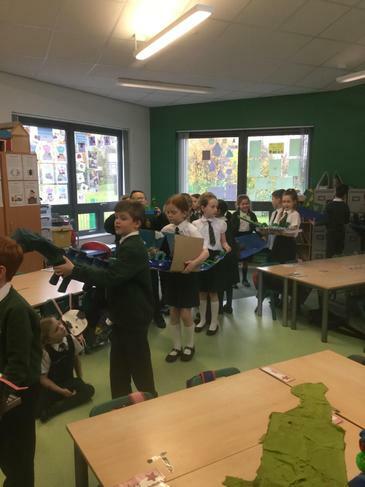 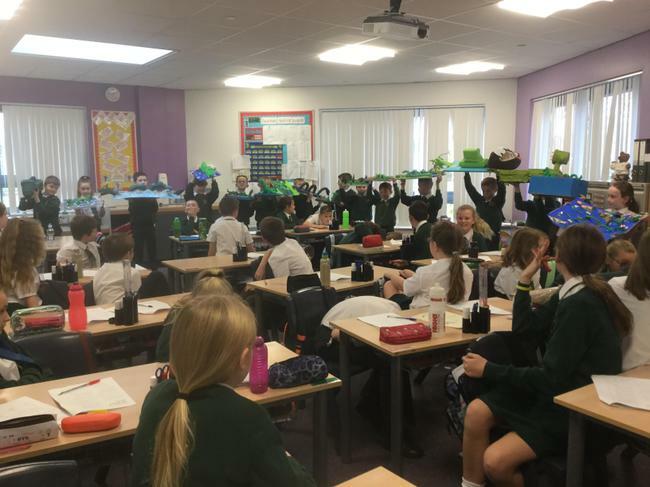 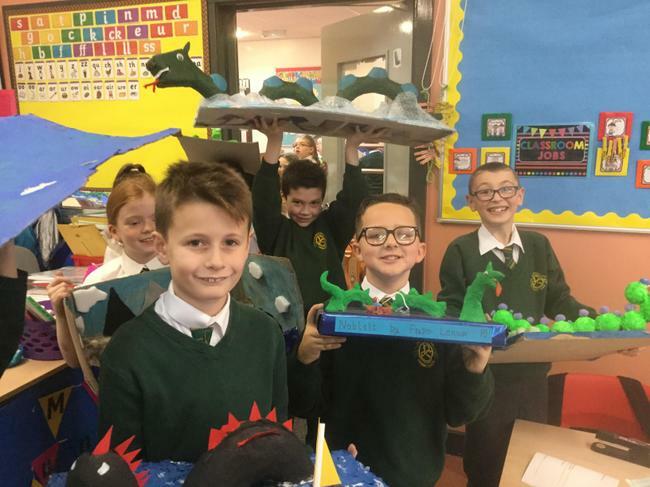 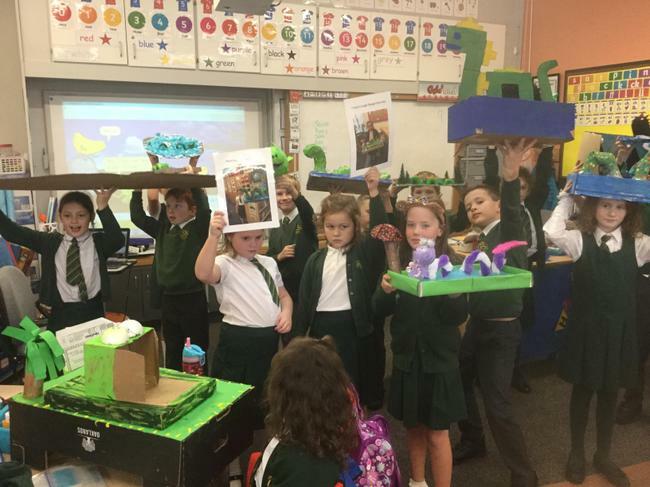 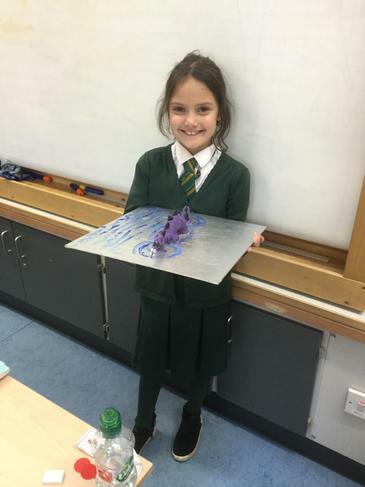 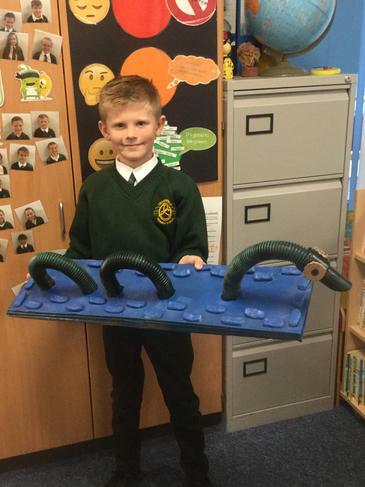 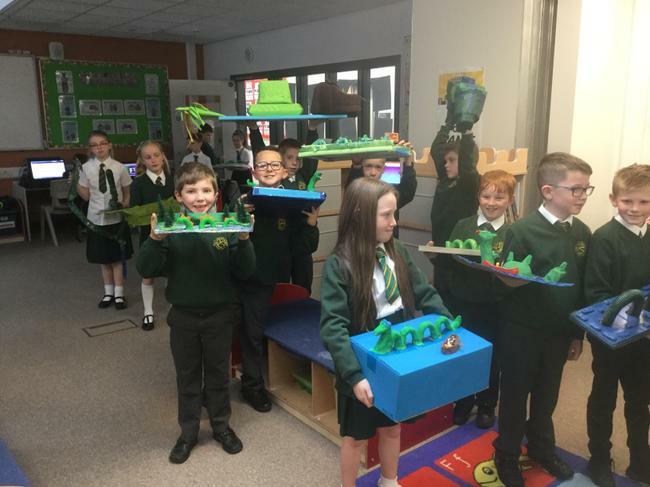 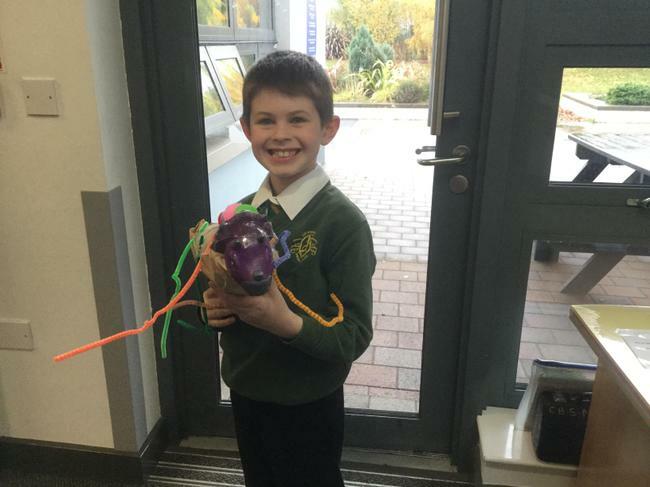 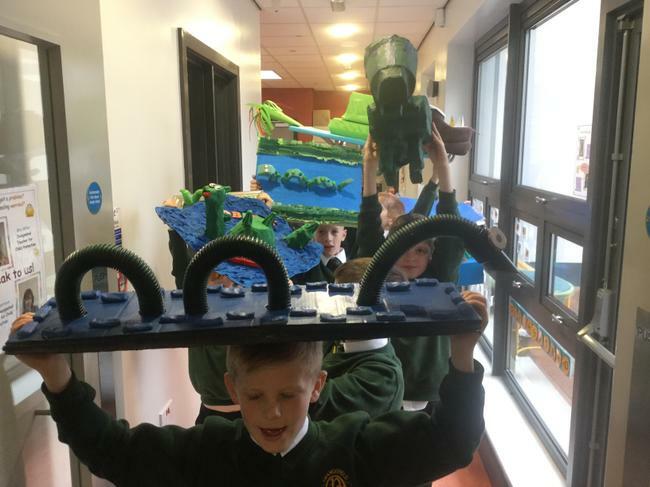 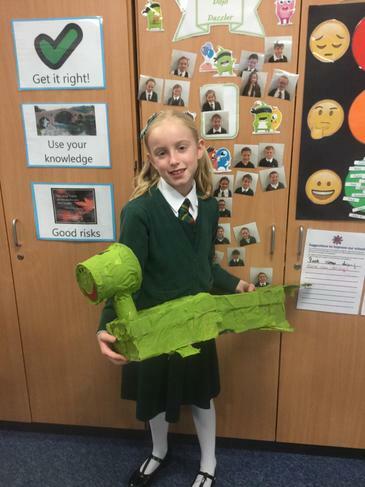 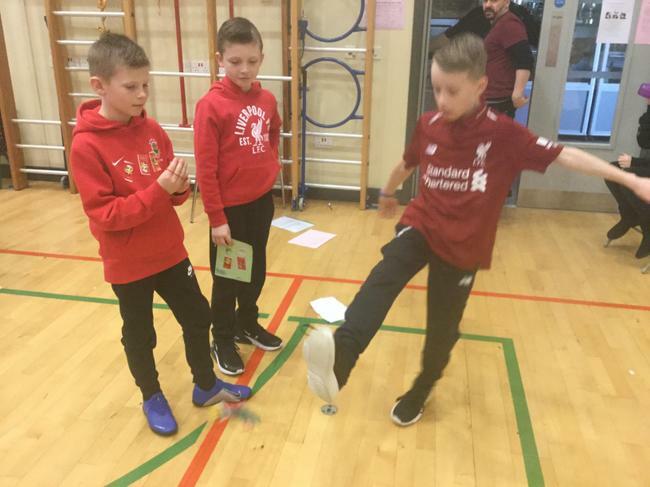 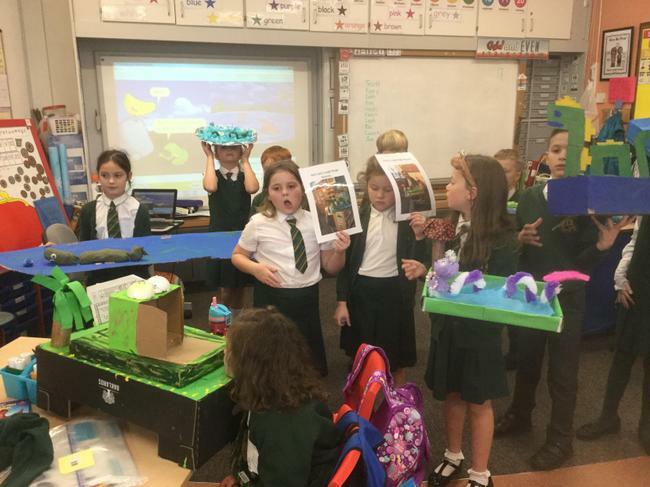 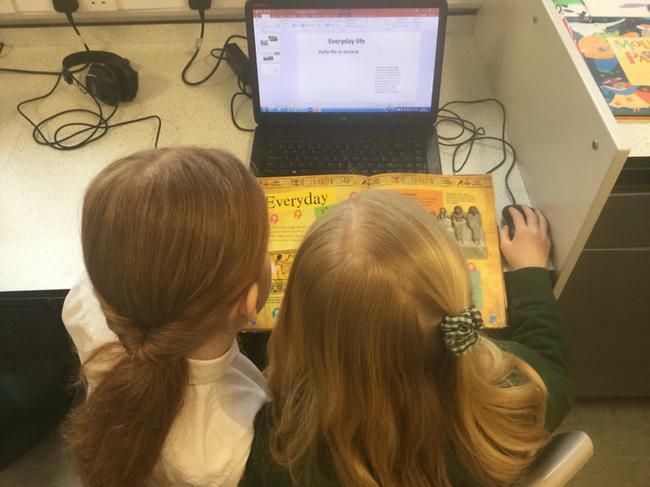 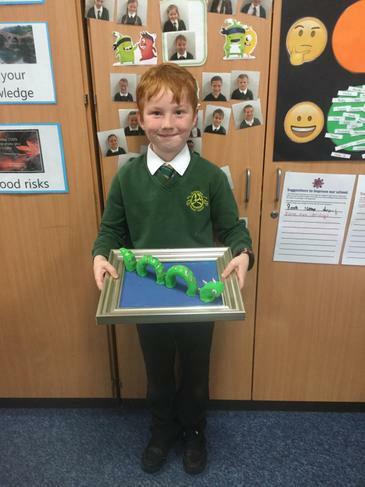 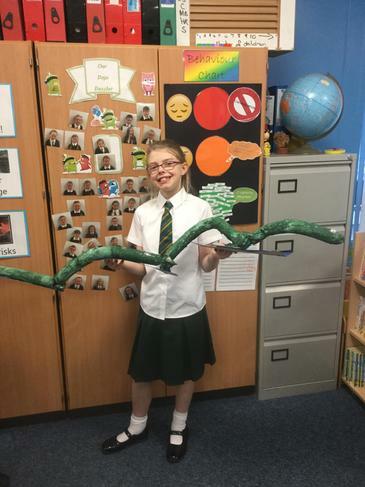 We had a monster parade around school so that all the other year groups could see our fantastic work. 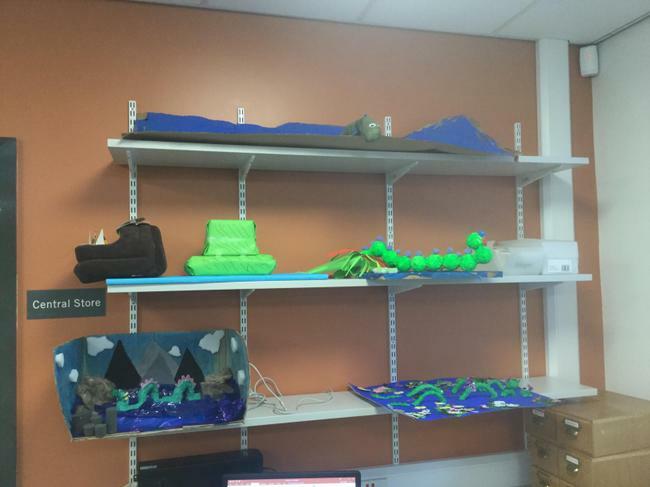 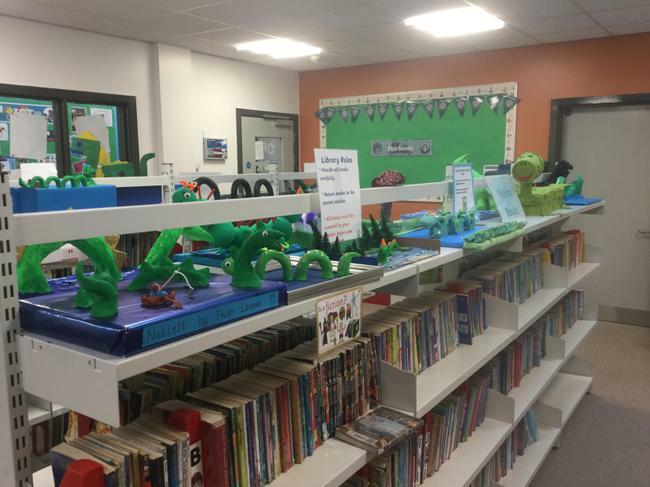 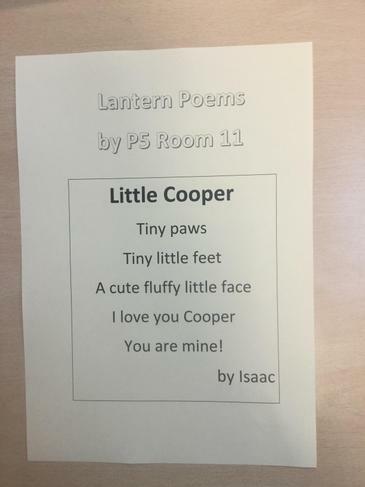 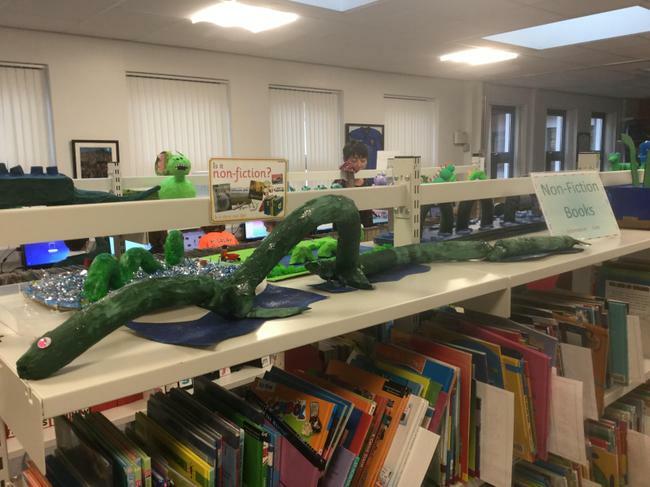 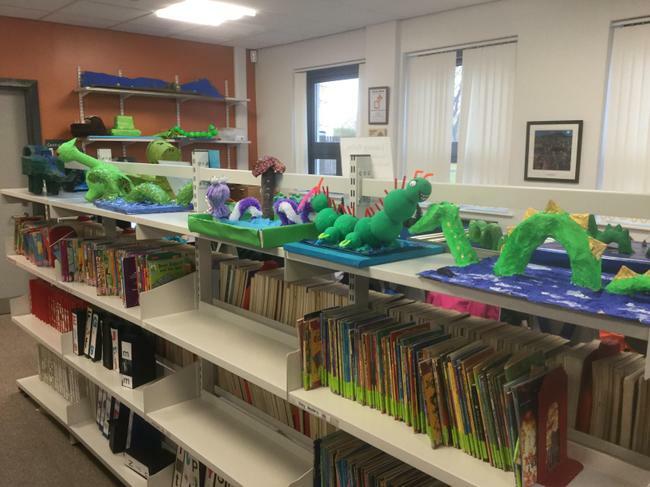 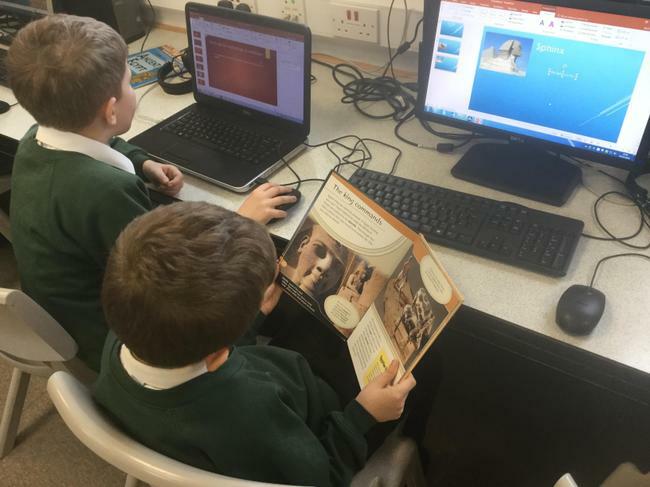 The monsters are now on display in the school library.